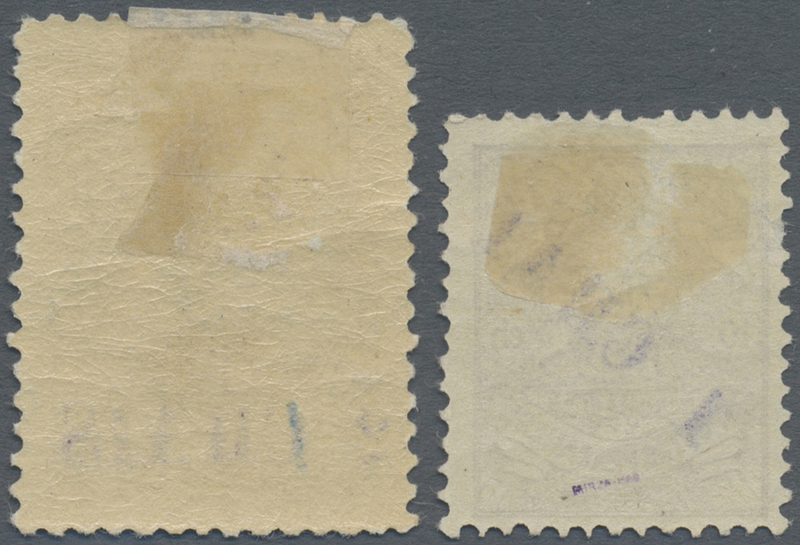 8331 postfrisch (never hinged) ** ungebraucht (hinged) * ungebraucht ohne Gummi (unused without gum) (*) Sc. 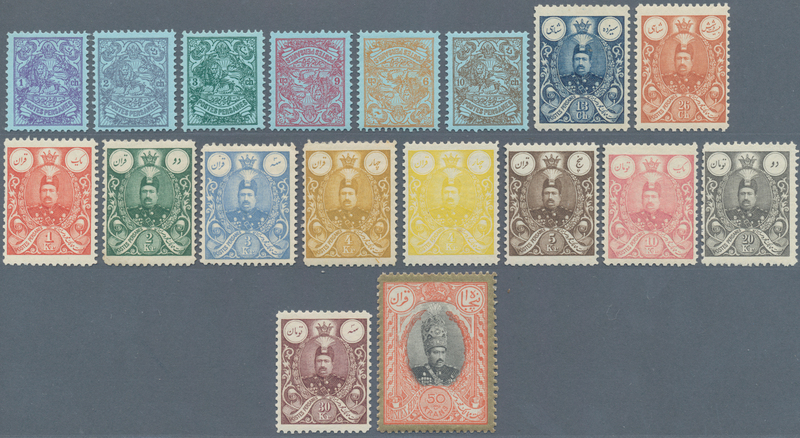 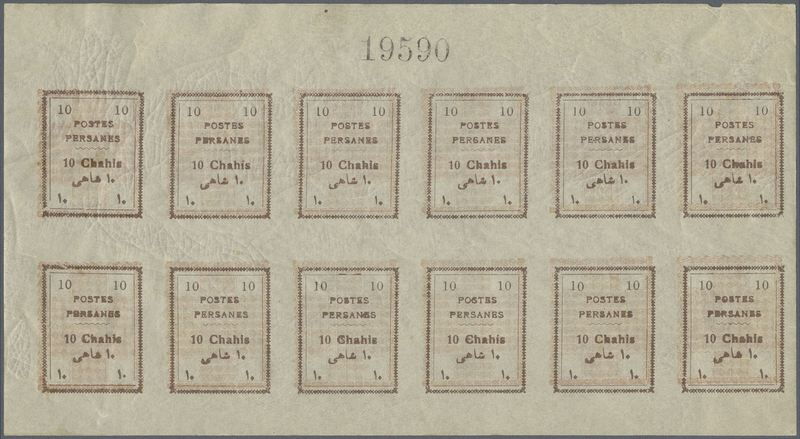 428/45 1907/1909, Mohammad Ali Shah, 1ch.-50kr., complete set of 18 values, fresh colours and well perforated, mainly unmounted mint. 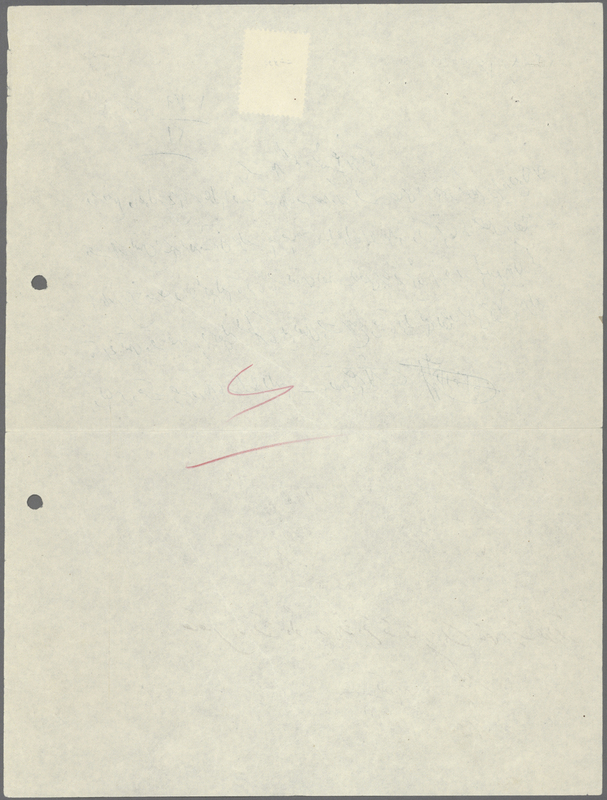 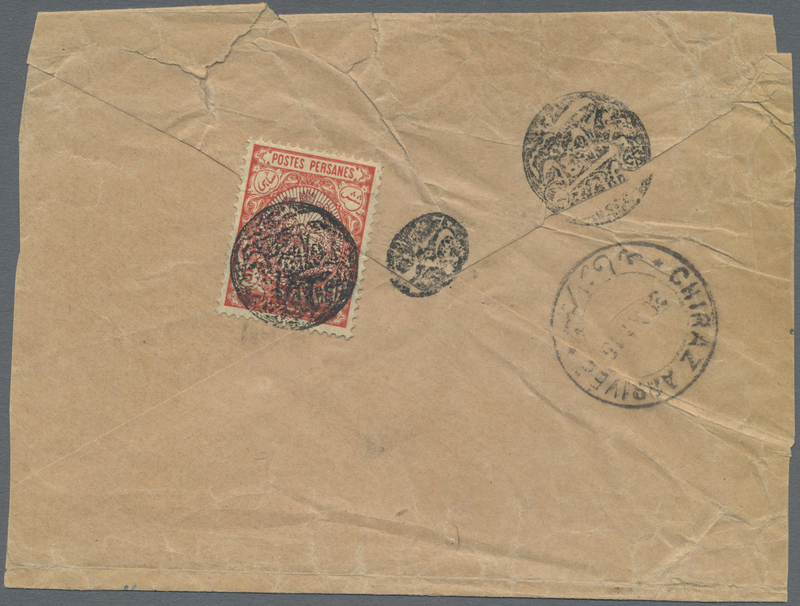 8332 Brief (cover) Sc. 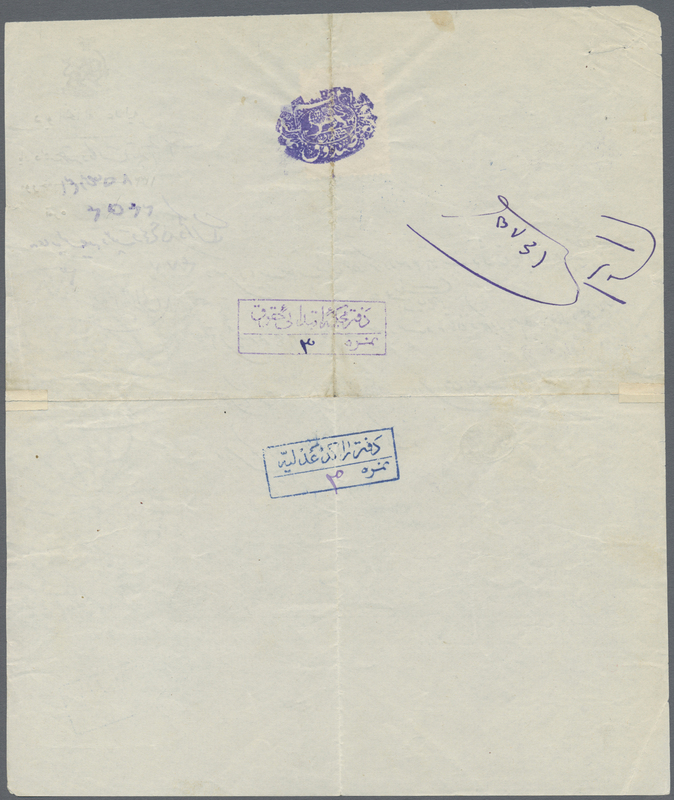 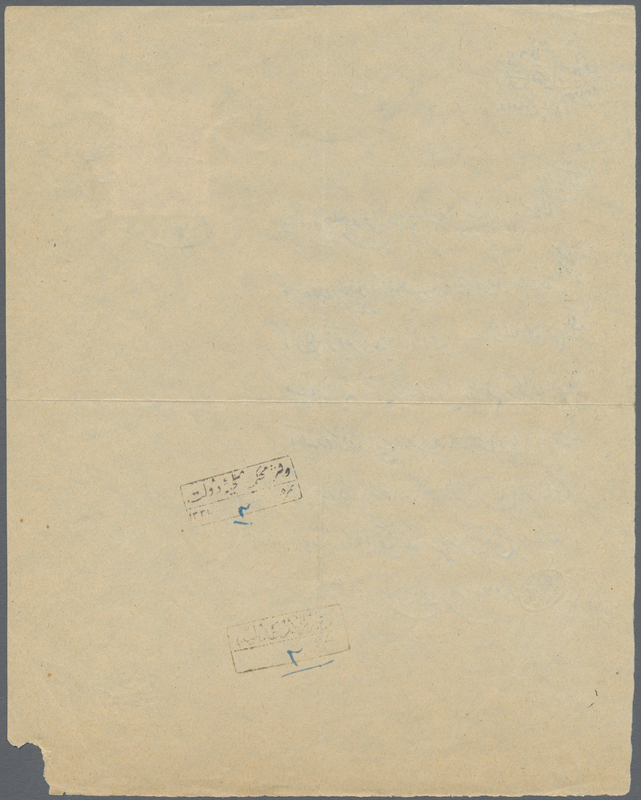 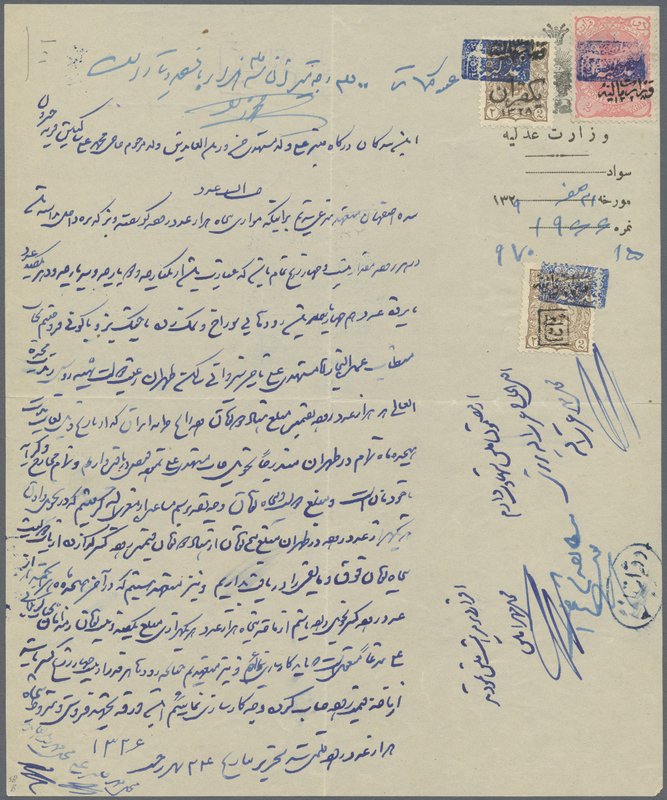 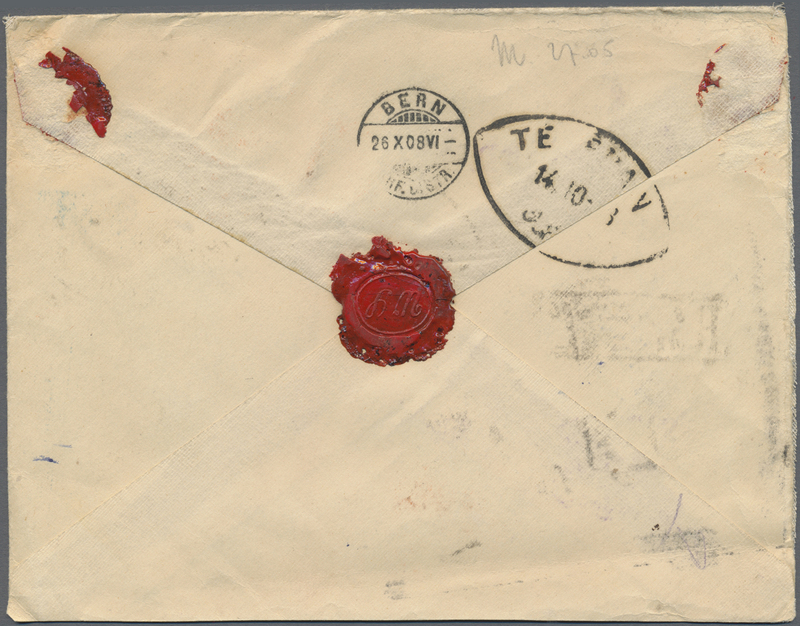 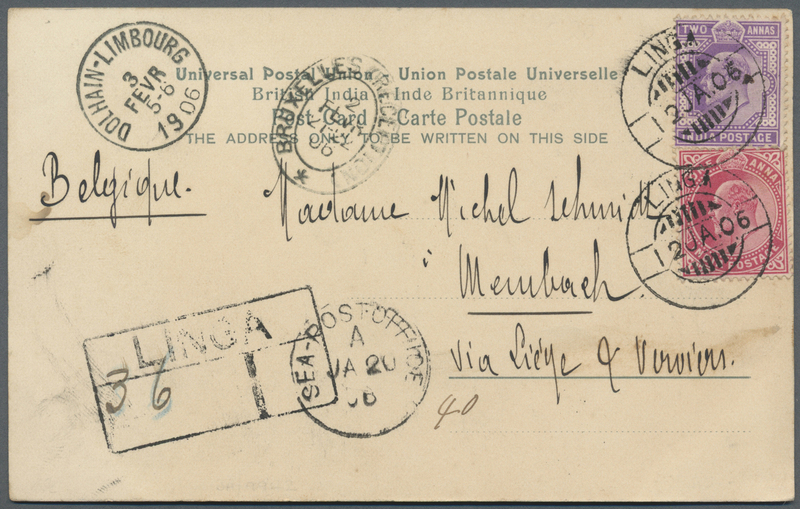 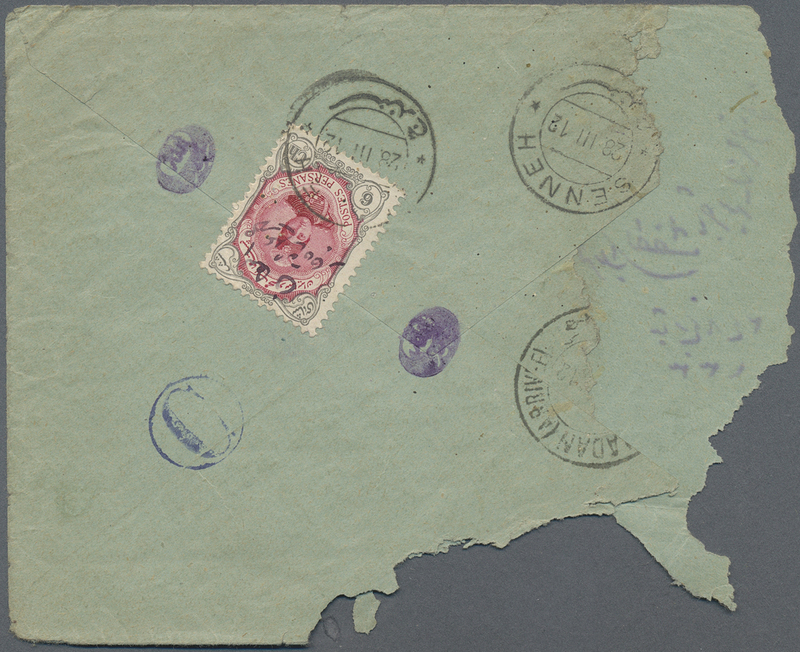 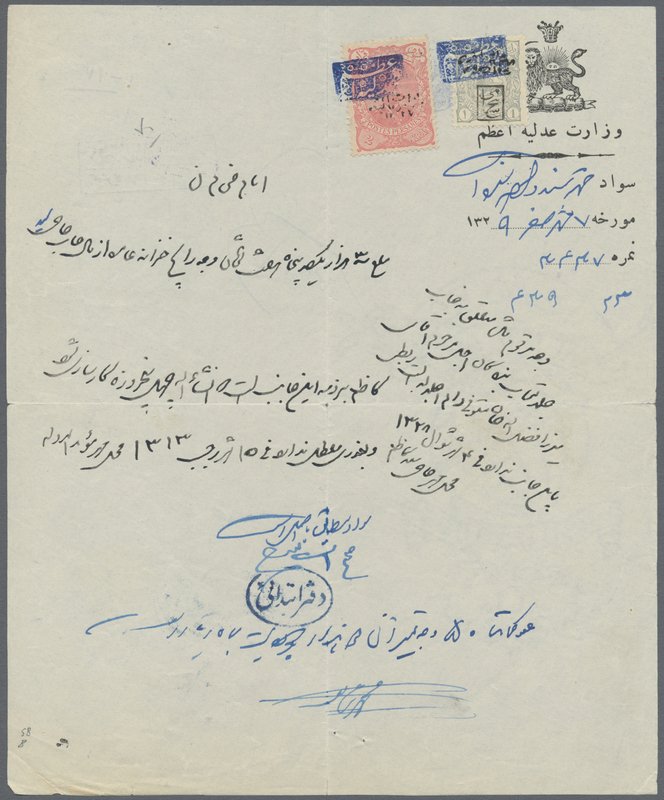 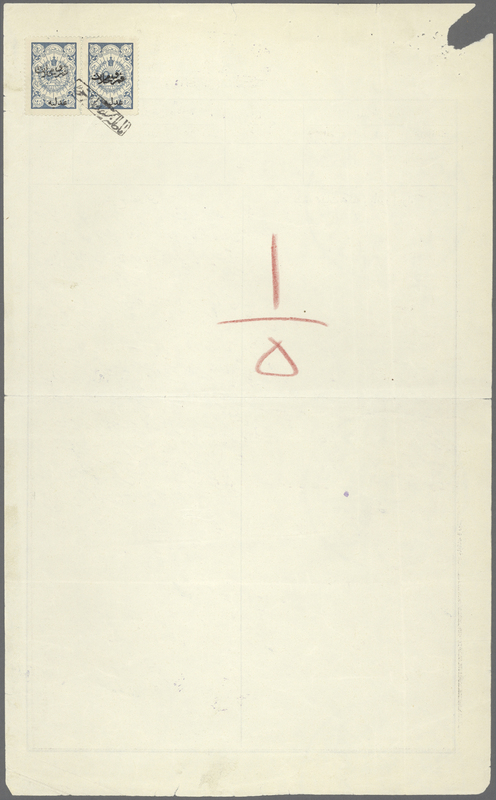 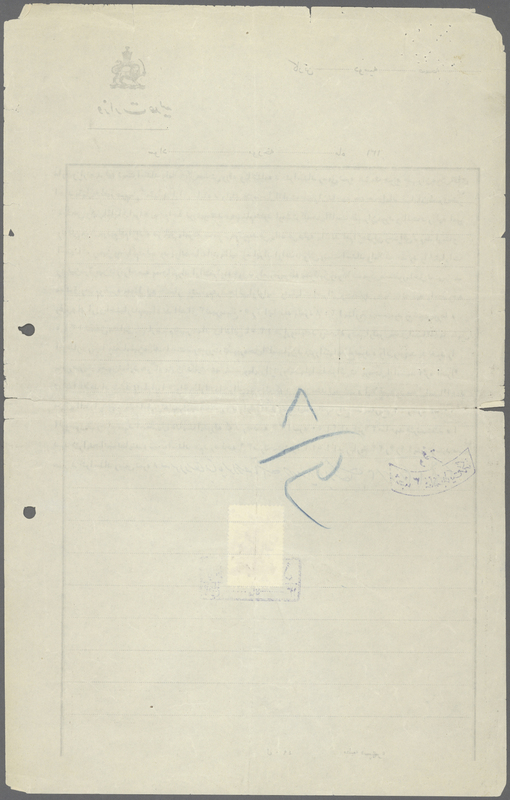 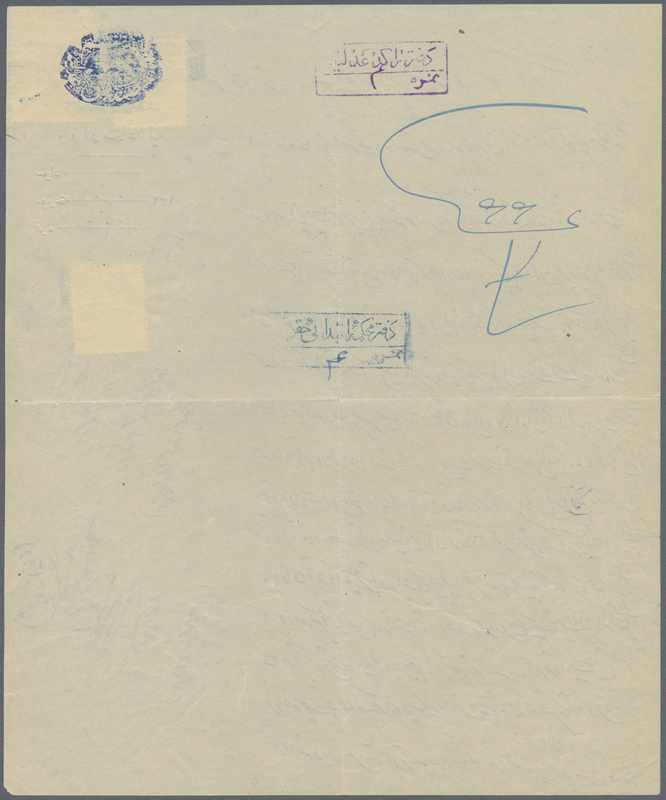 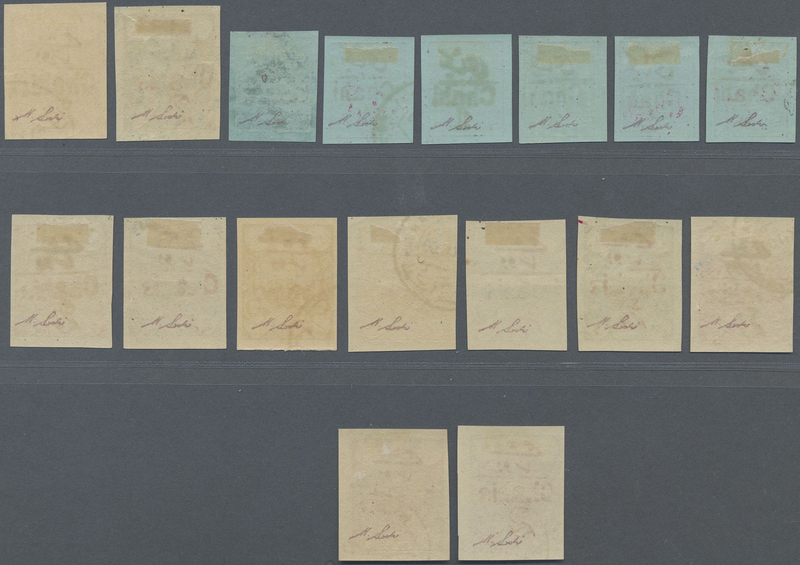 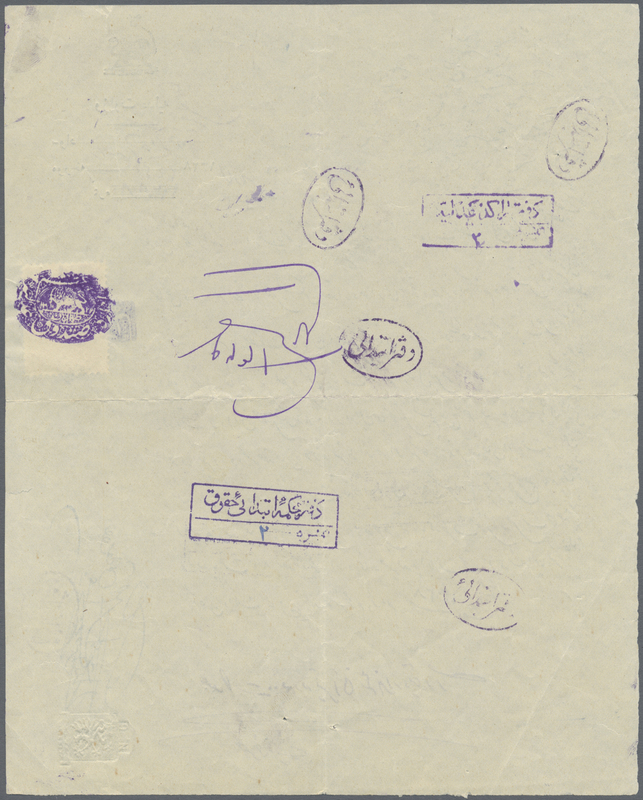 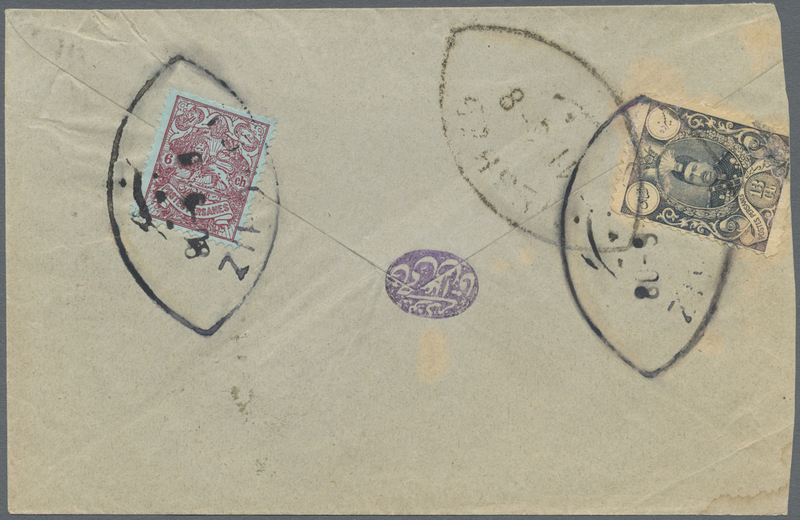 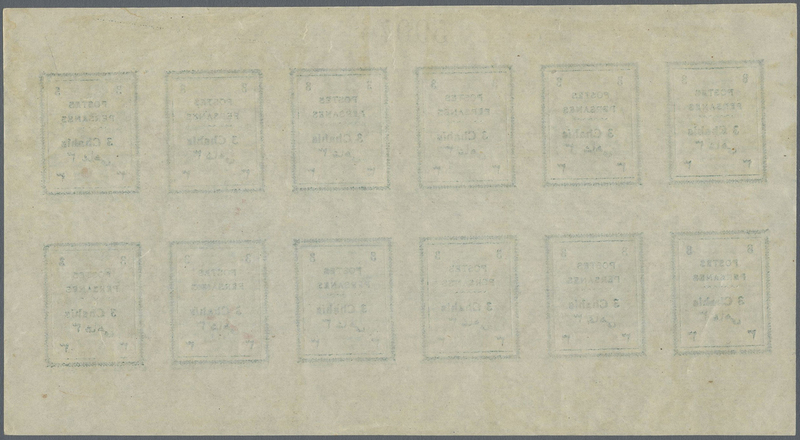 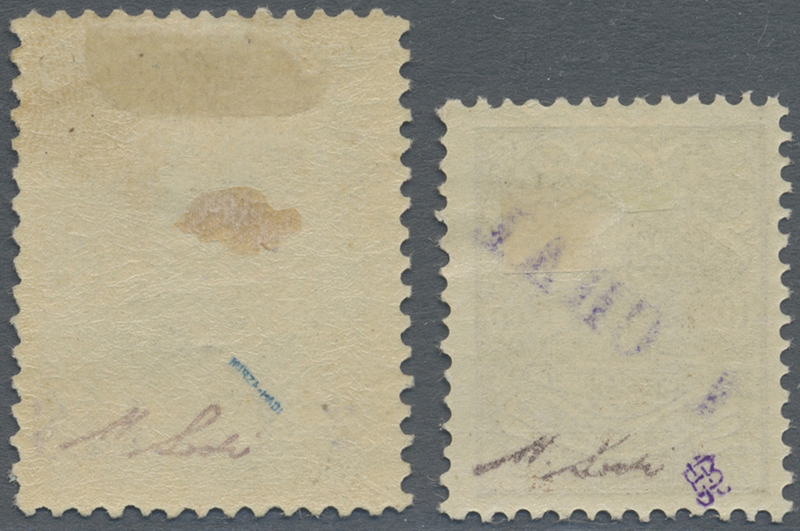 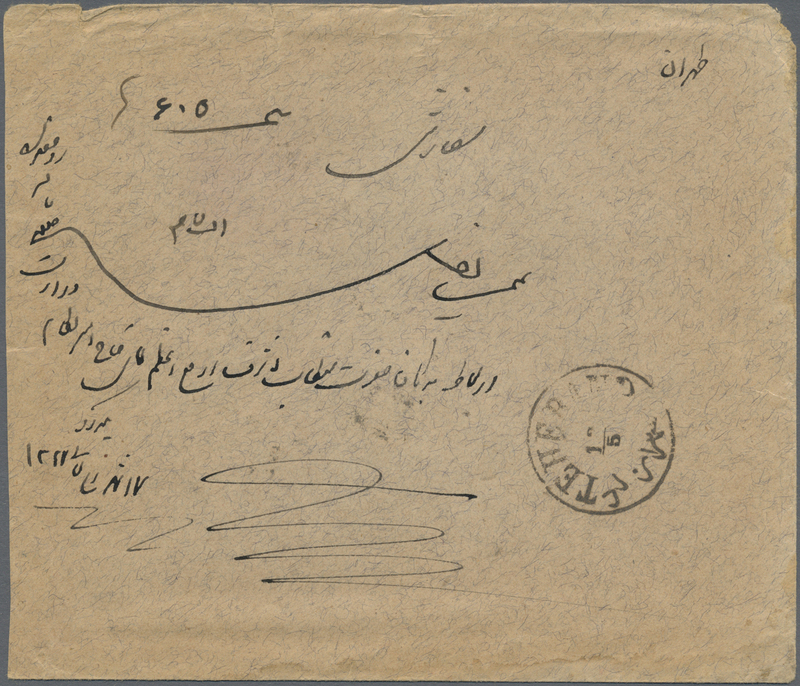 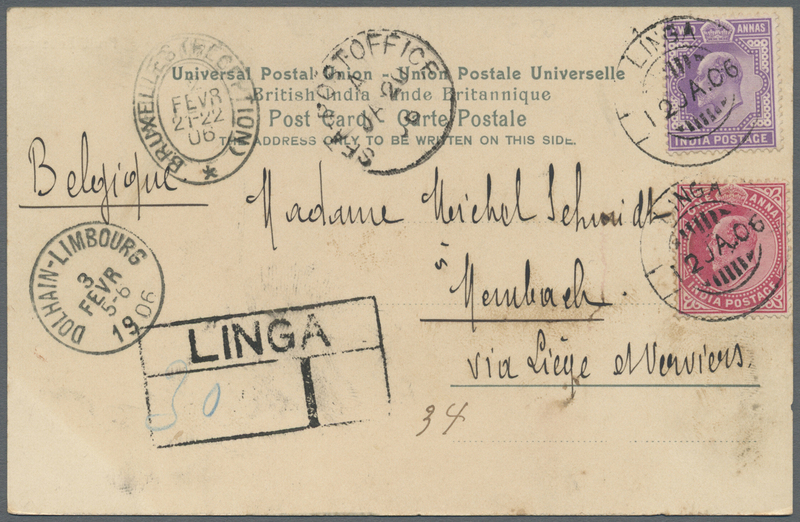 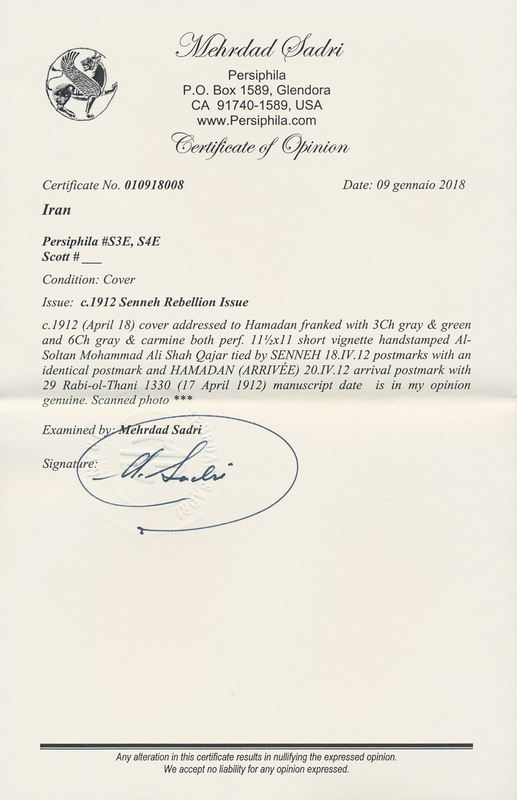 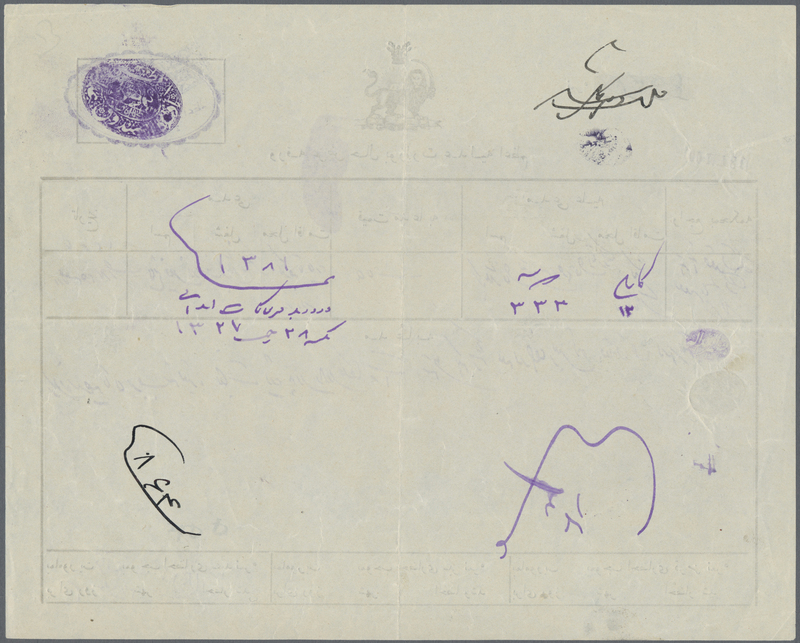 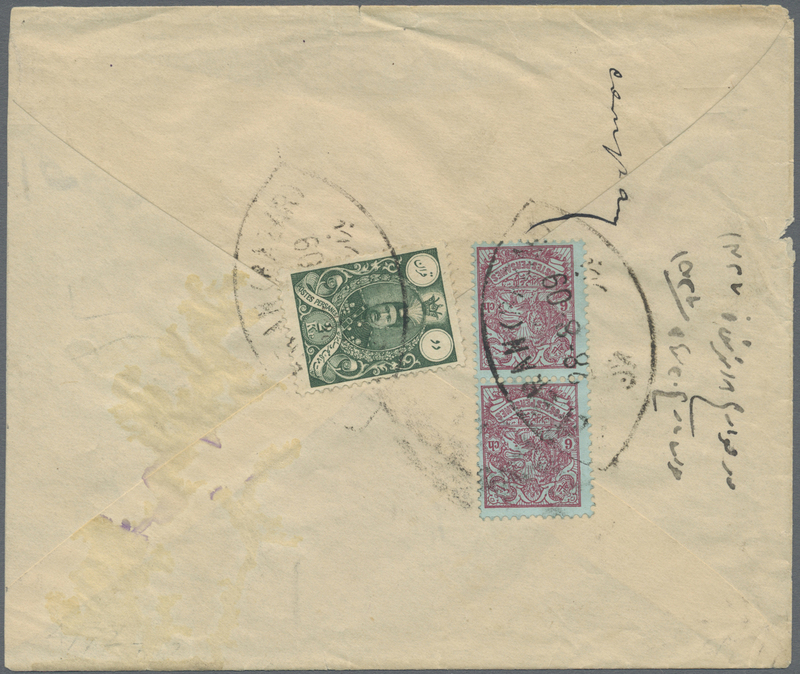 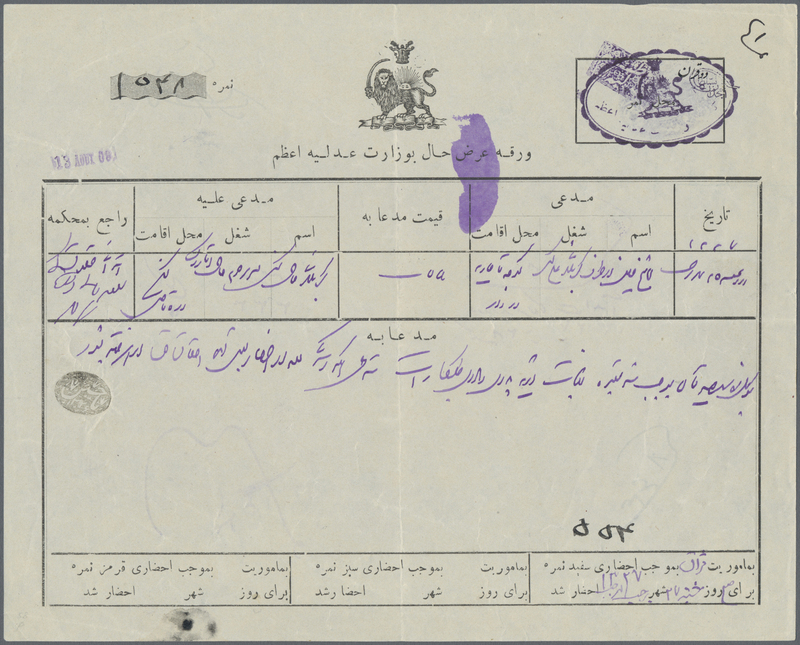 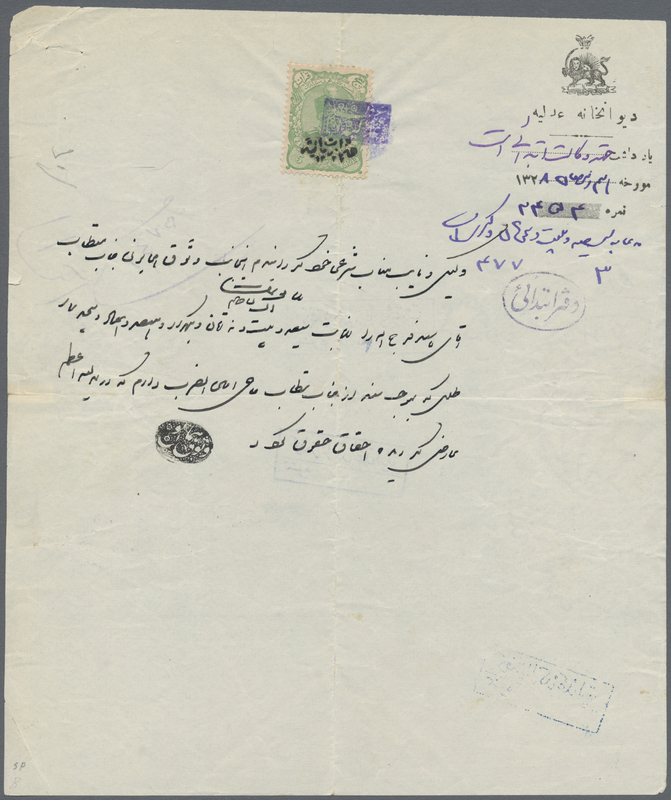 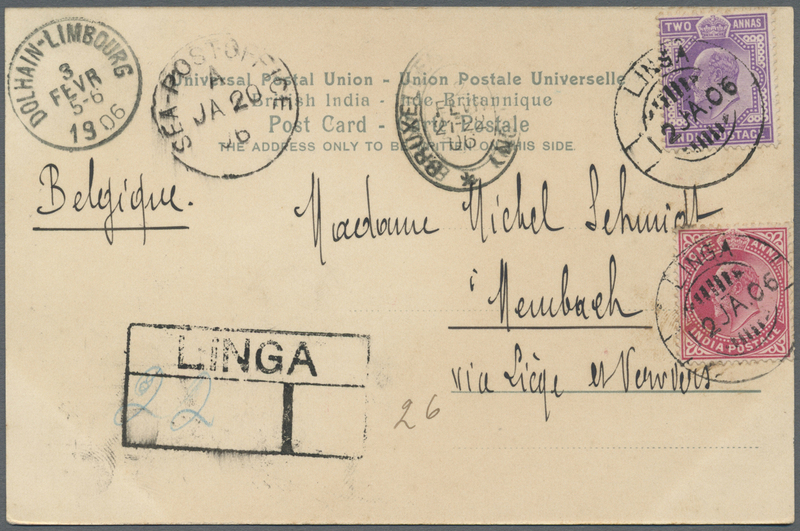 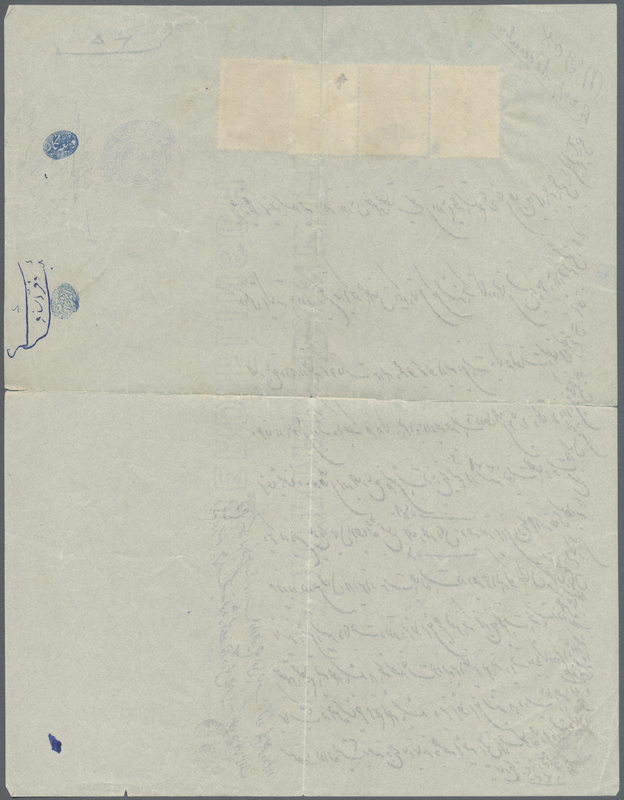 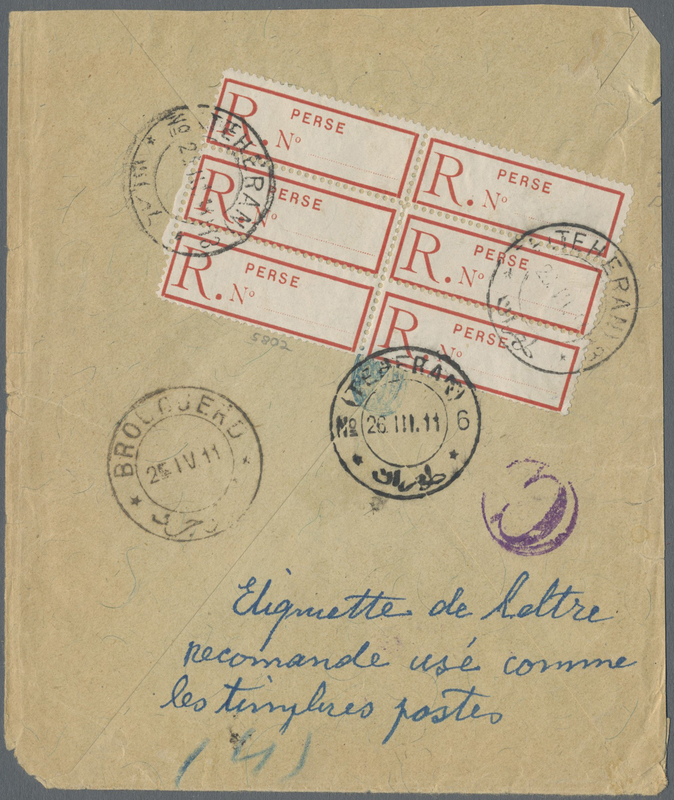 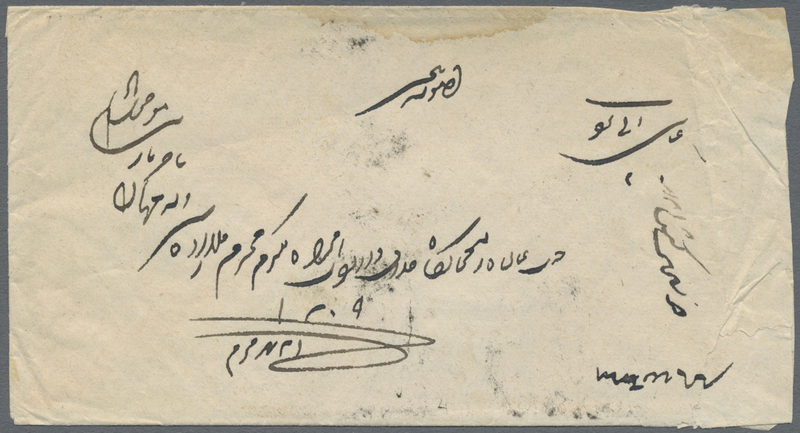 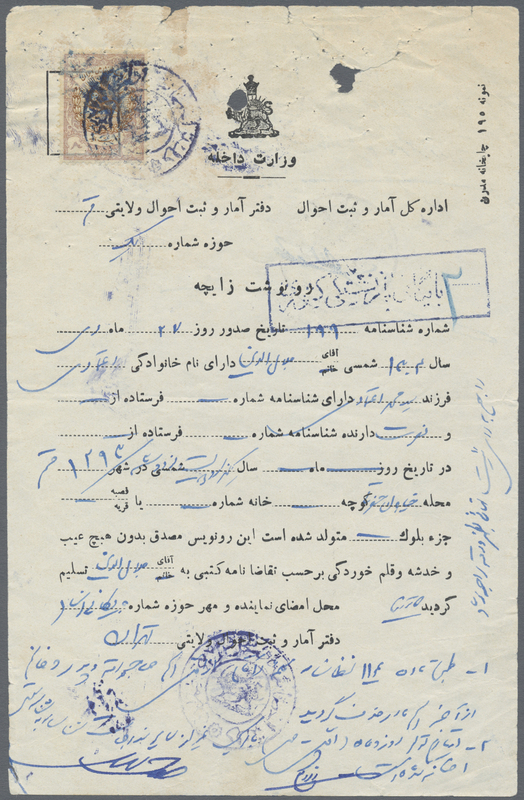 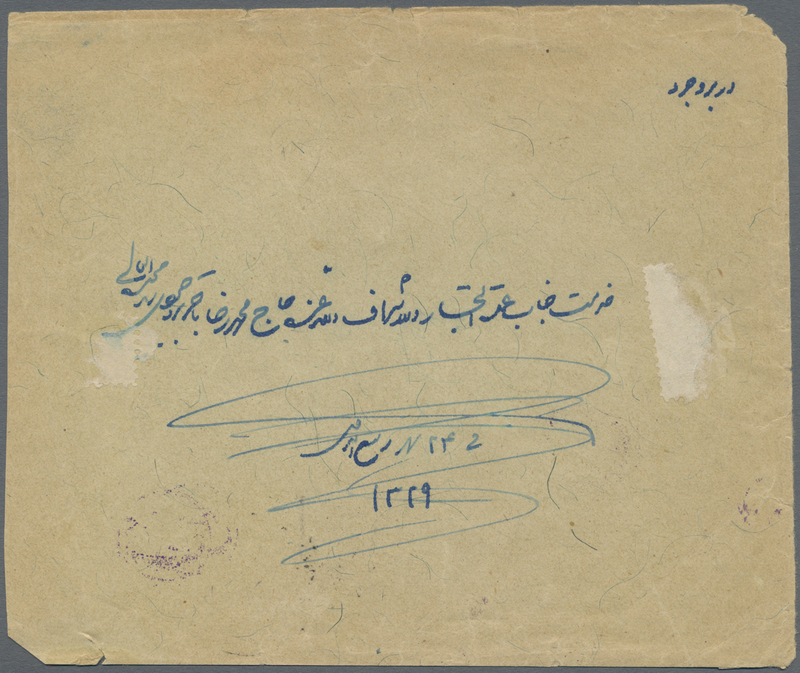 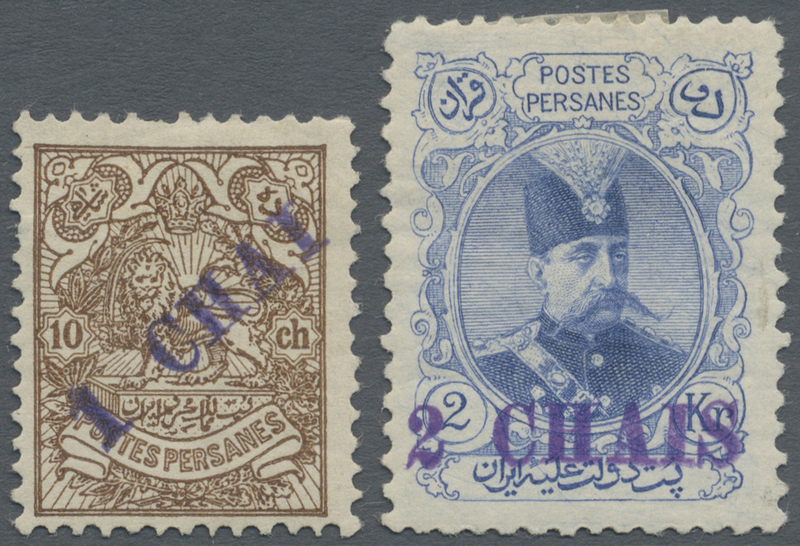 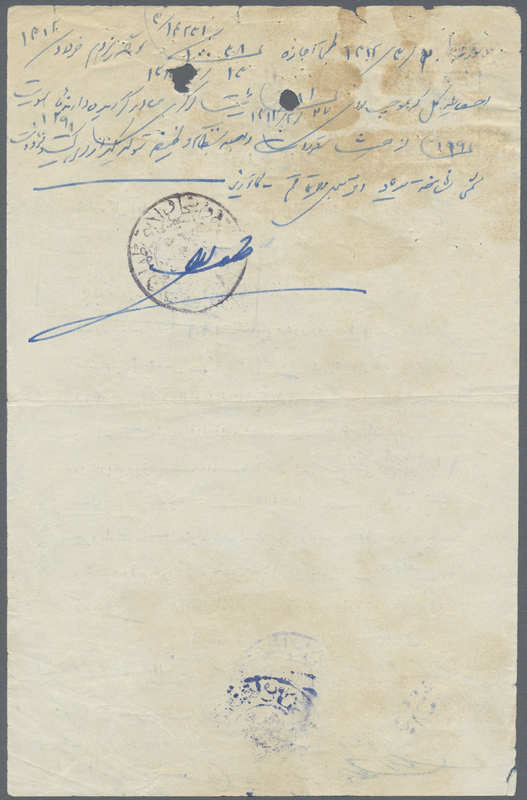 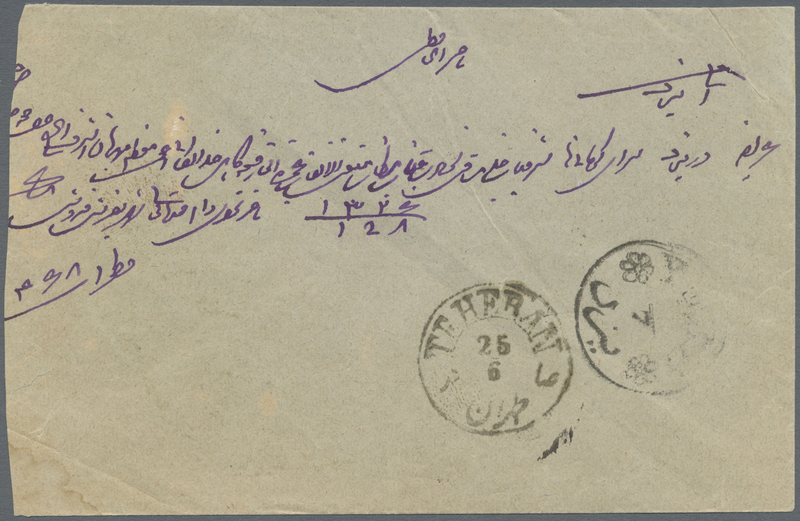 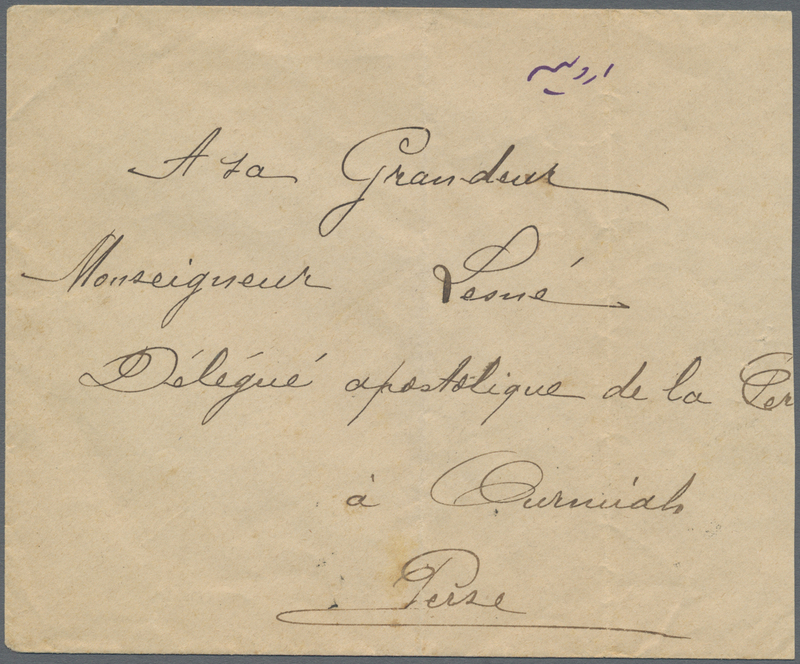 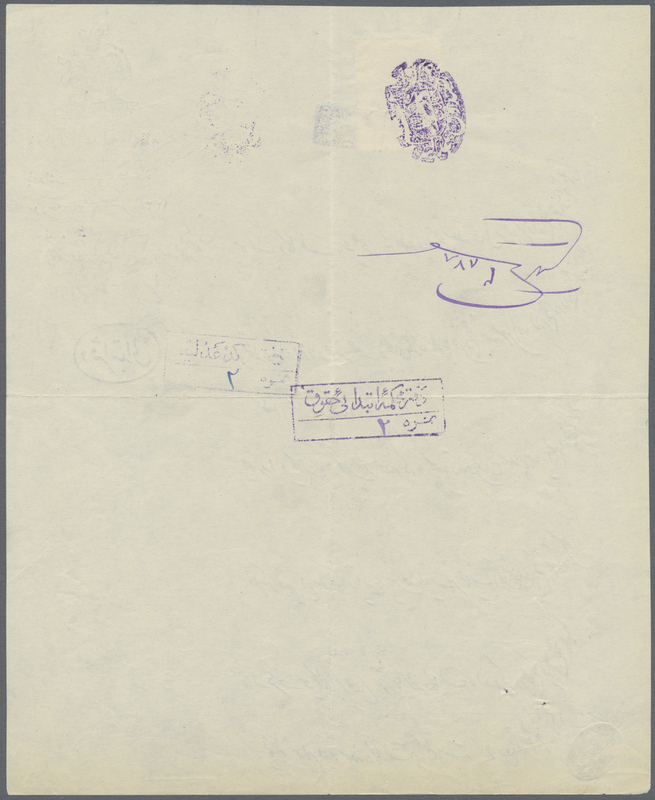 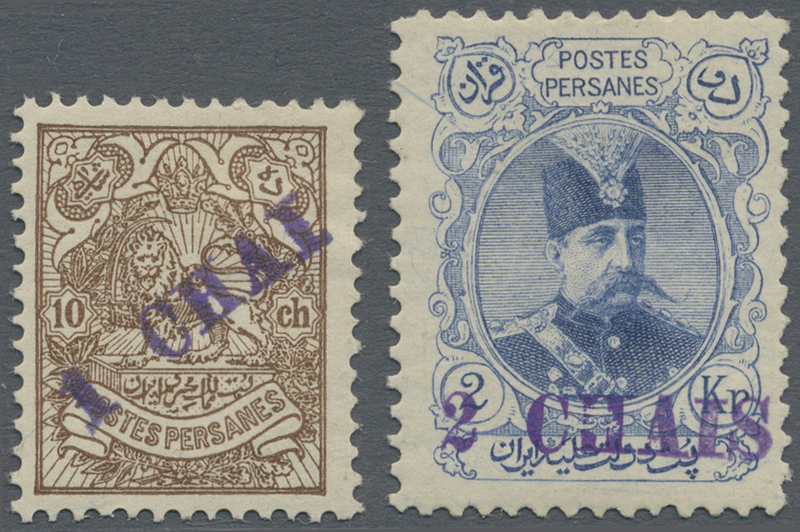 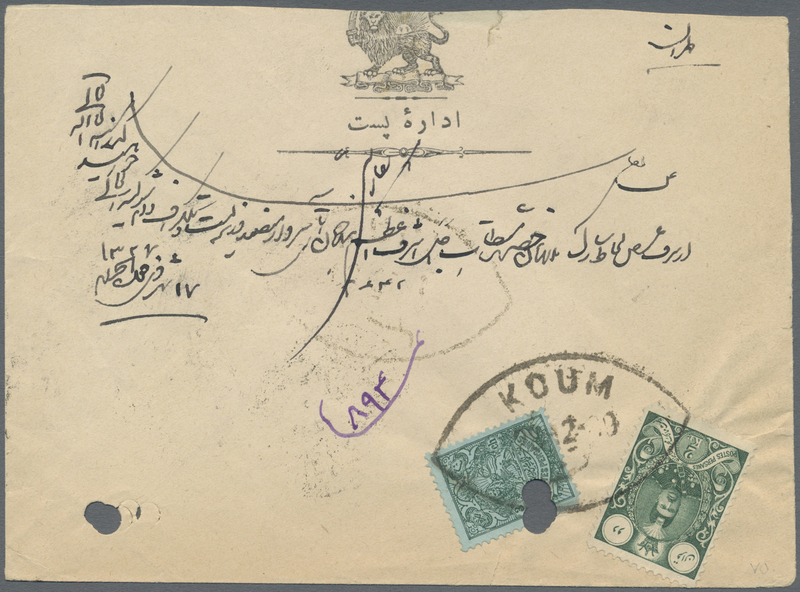 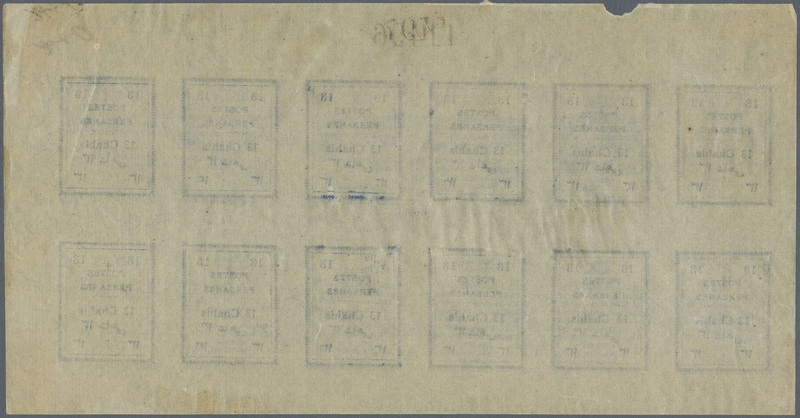 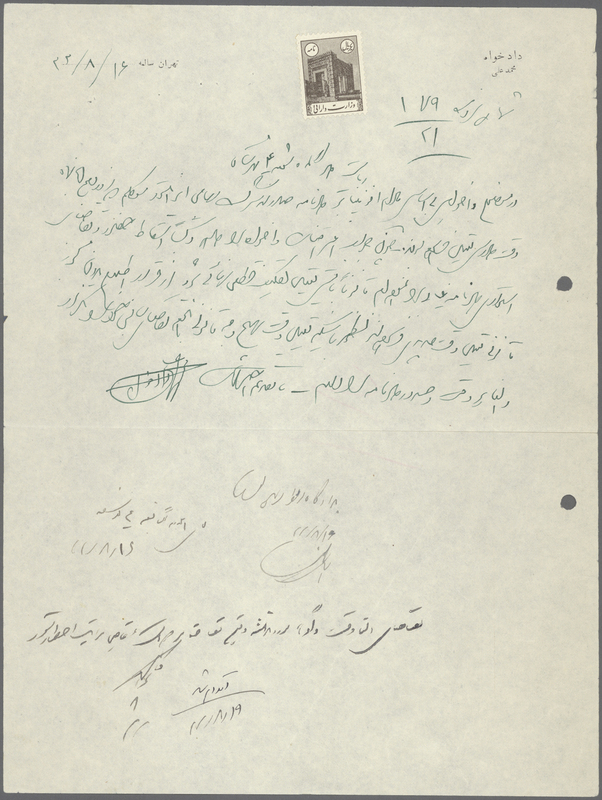 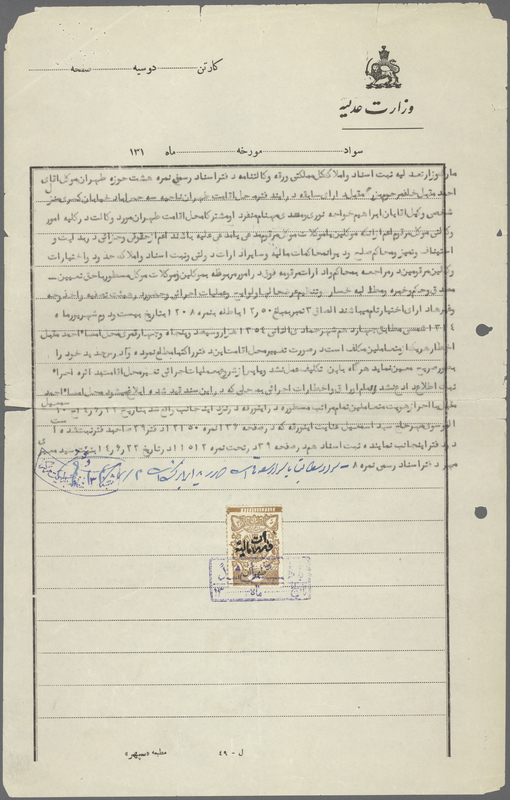 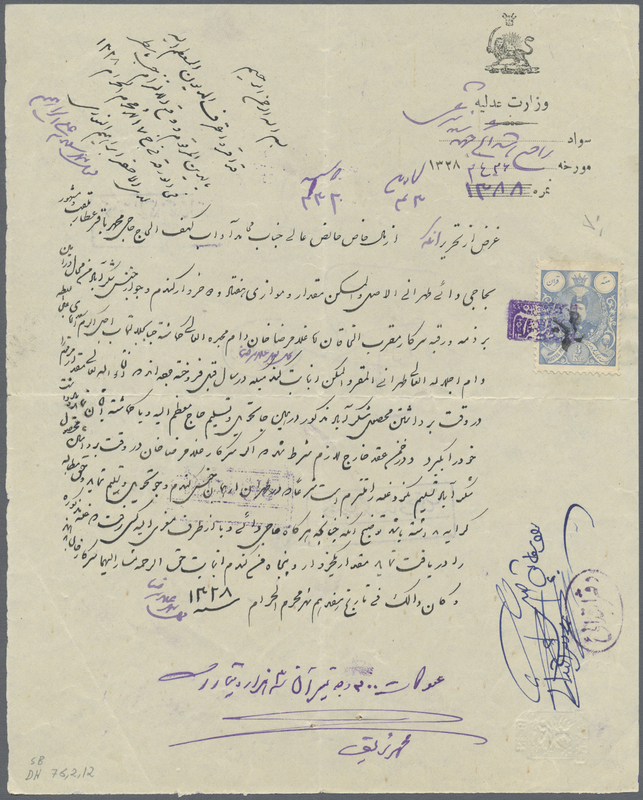 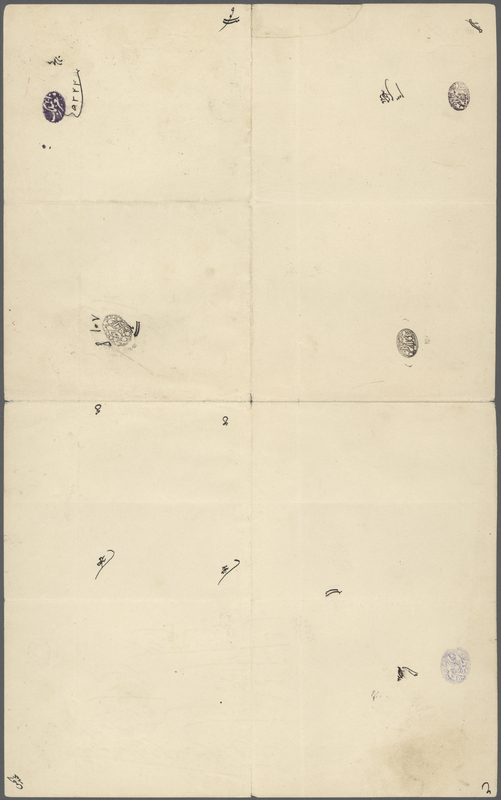 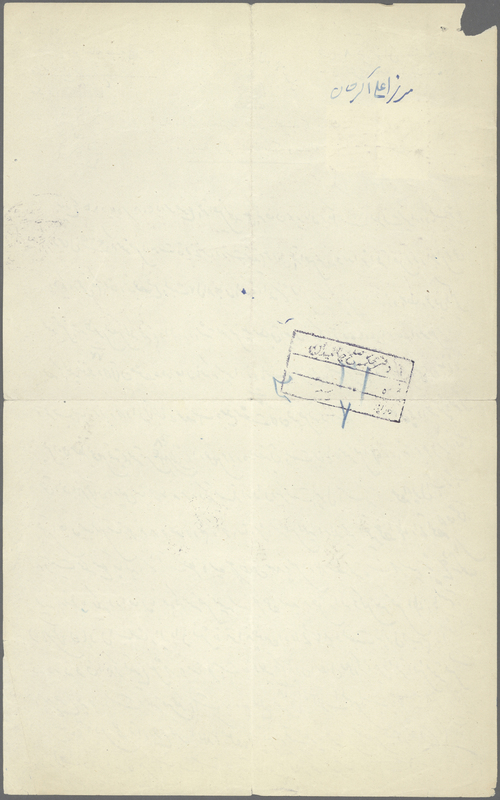 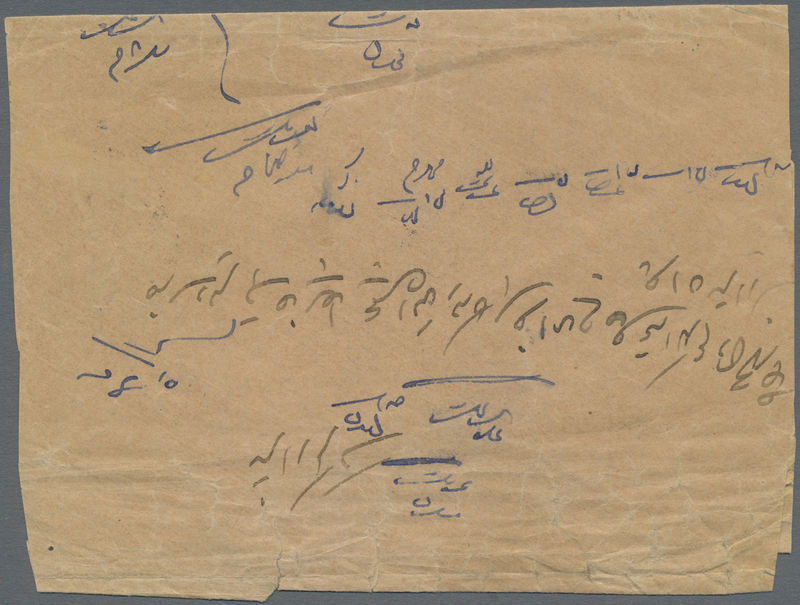 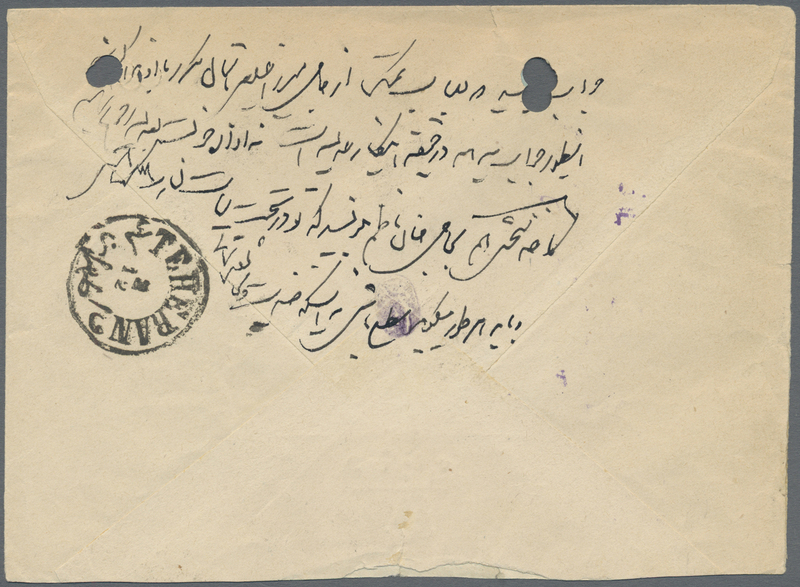 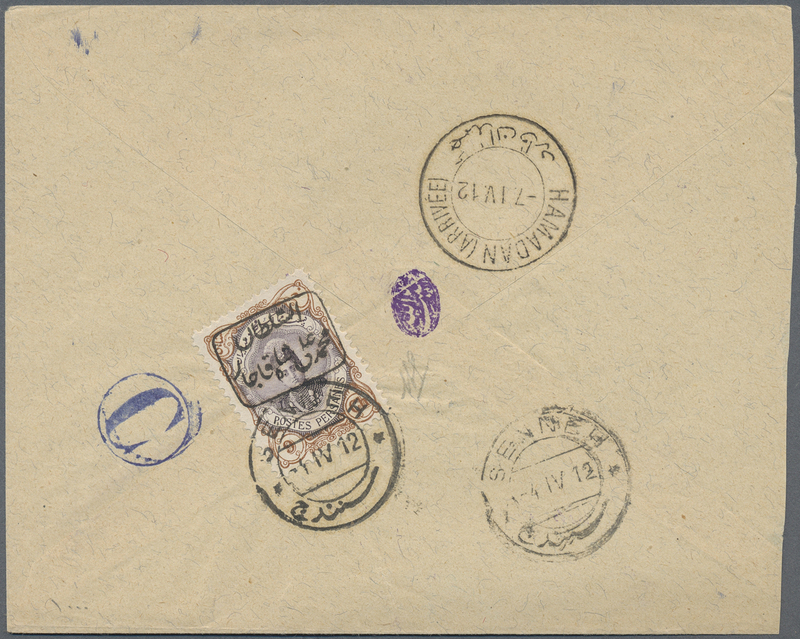 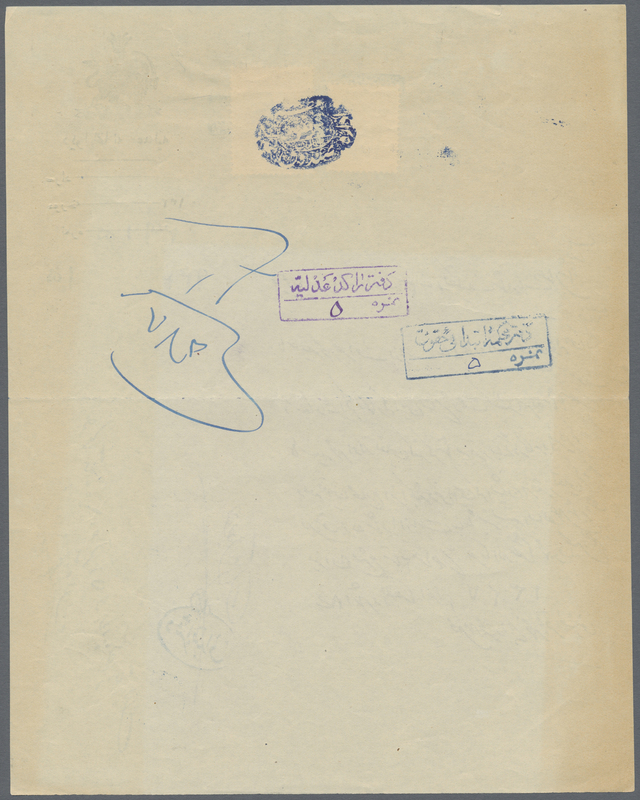 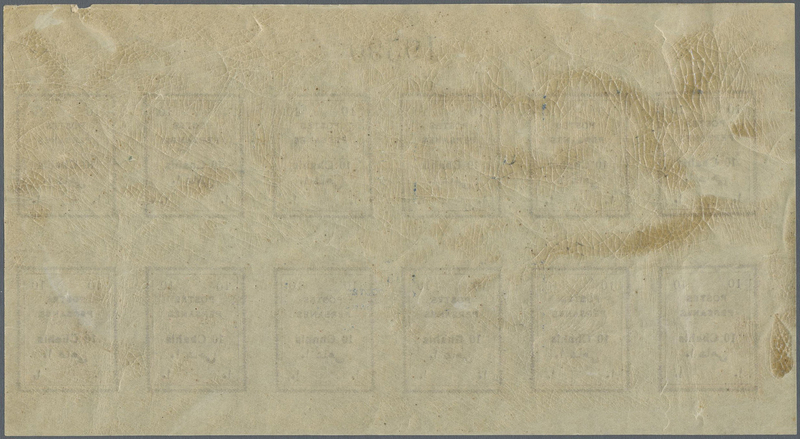 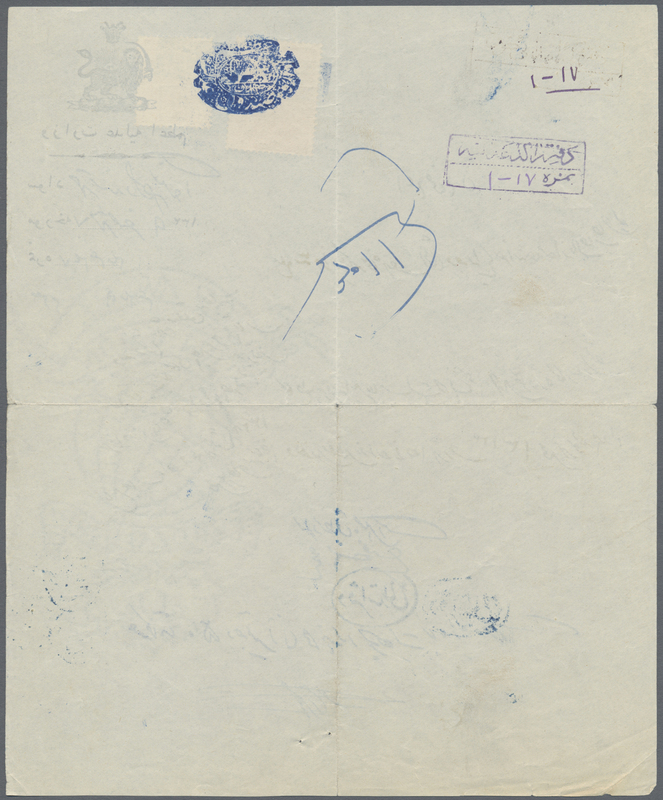 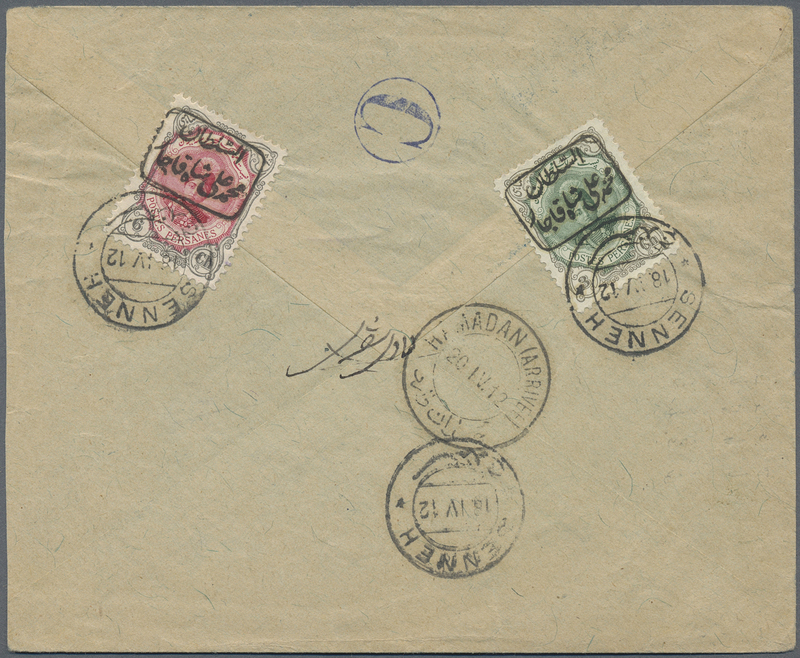 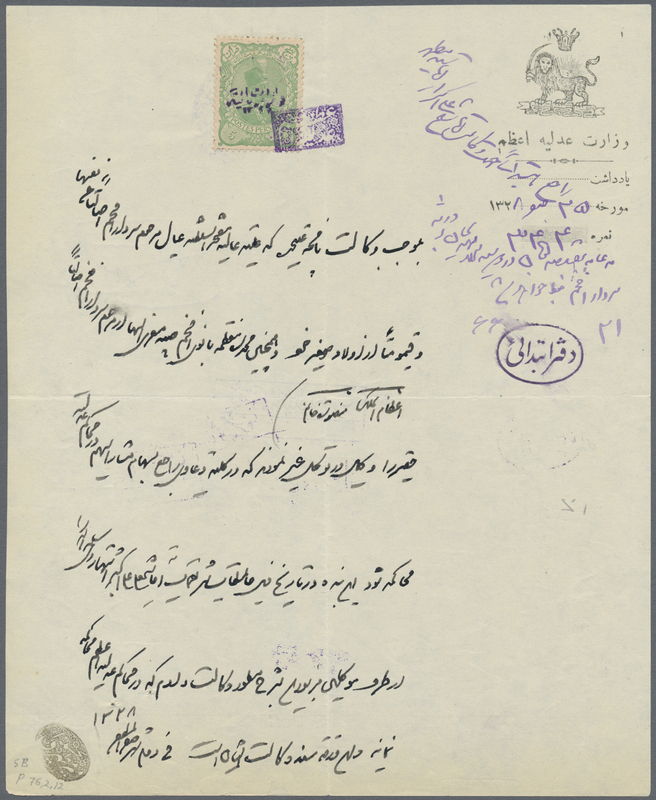 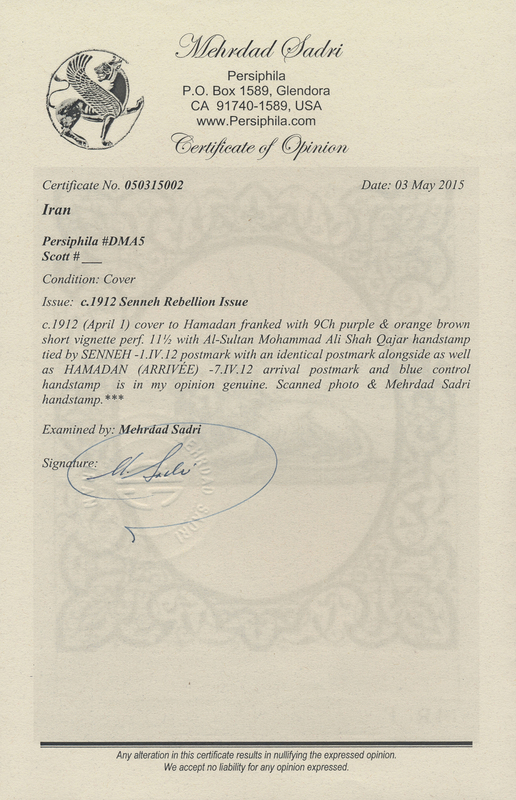 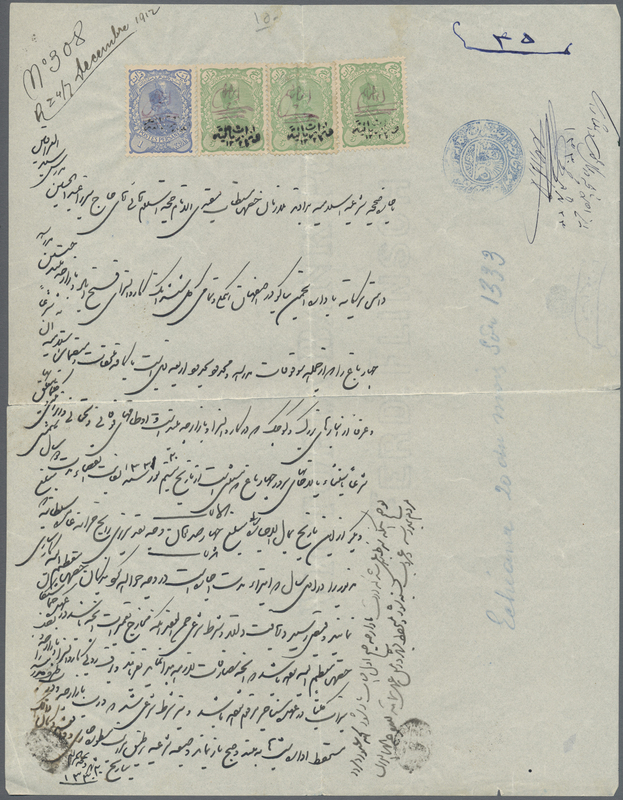 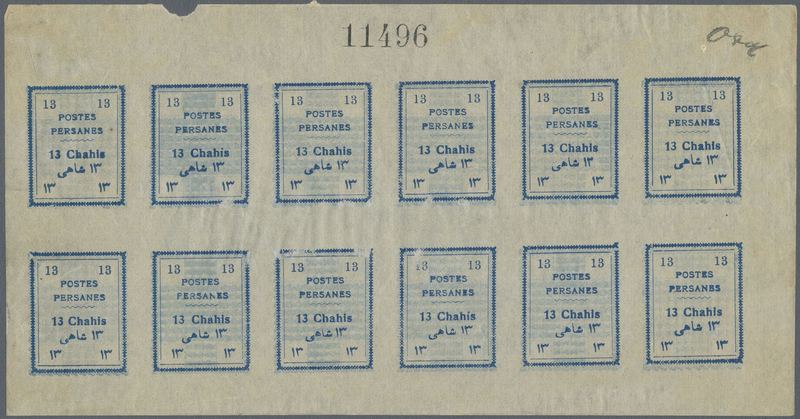 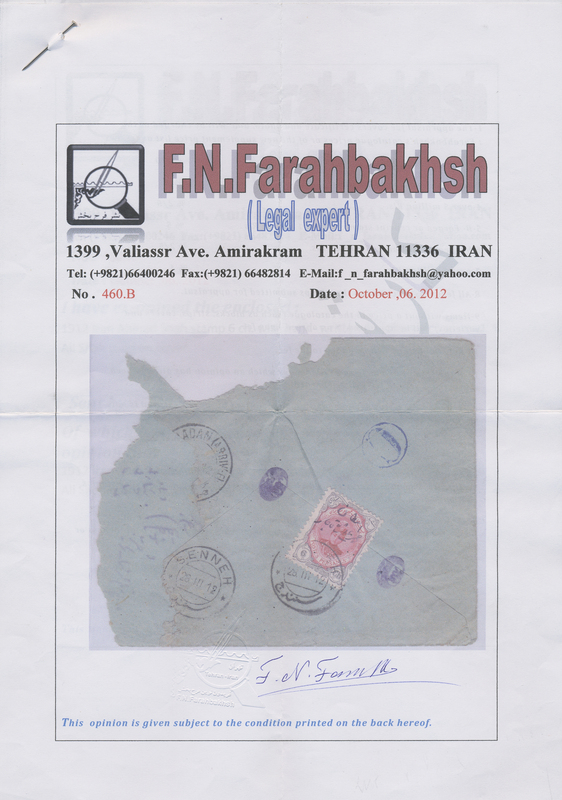 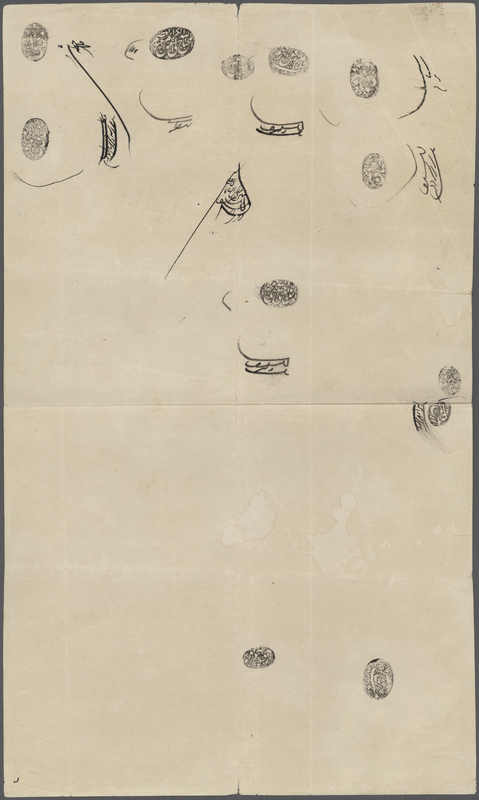 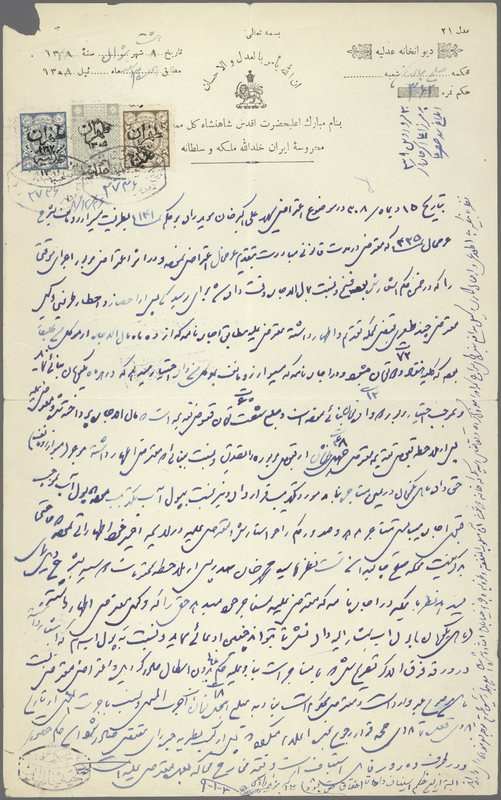 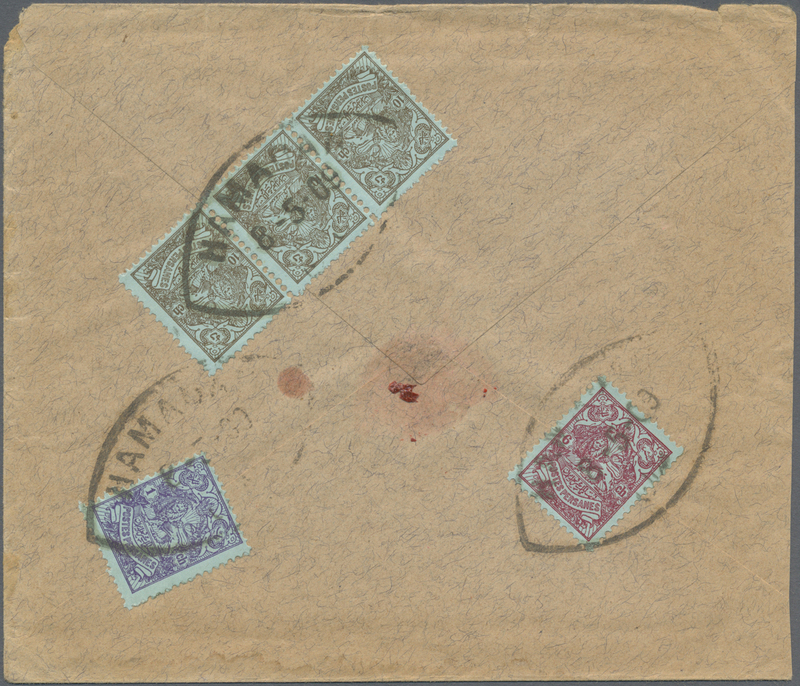 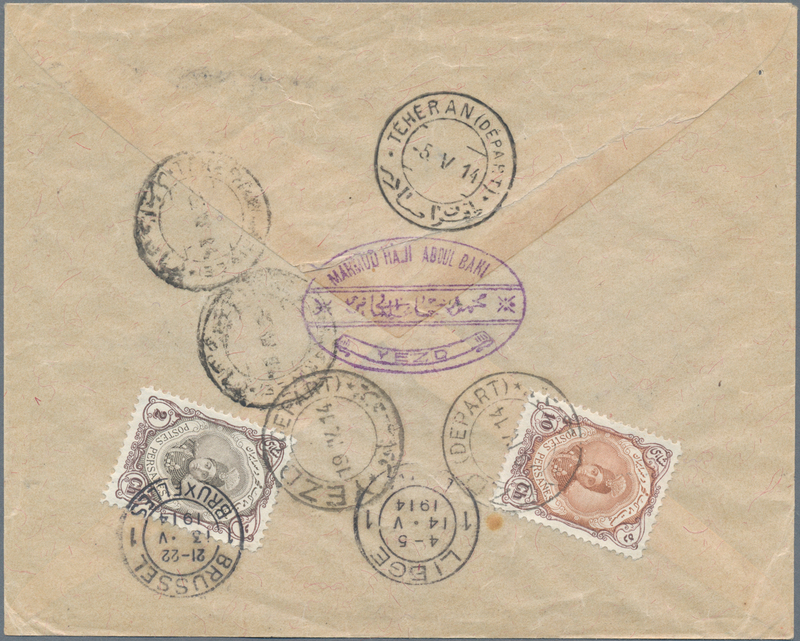 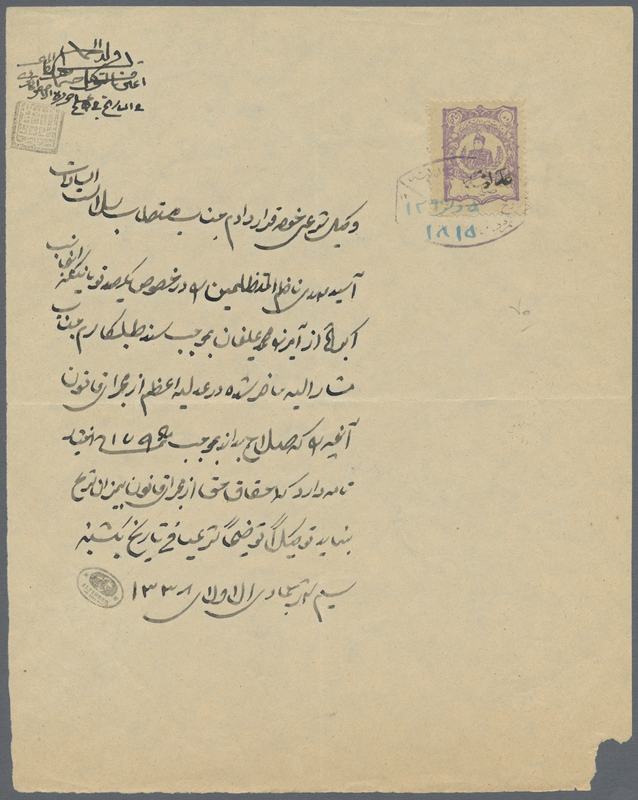 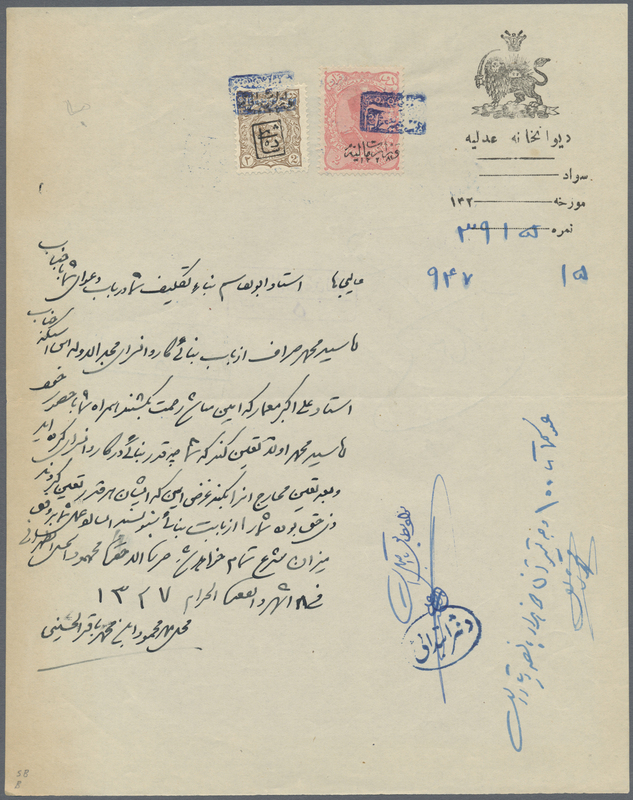 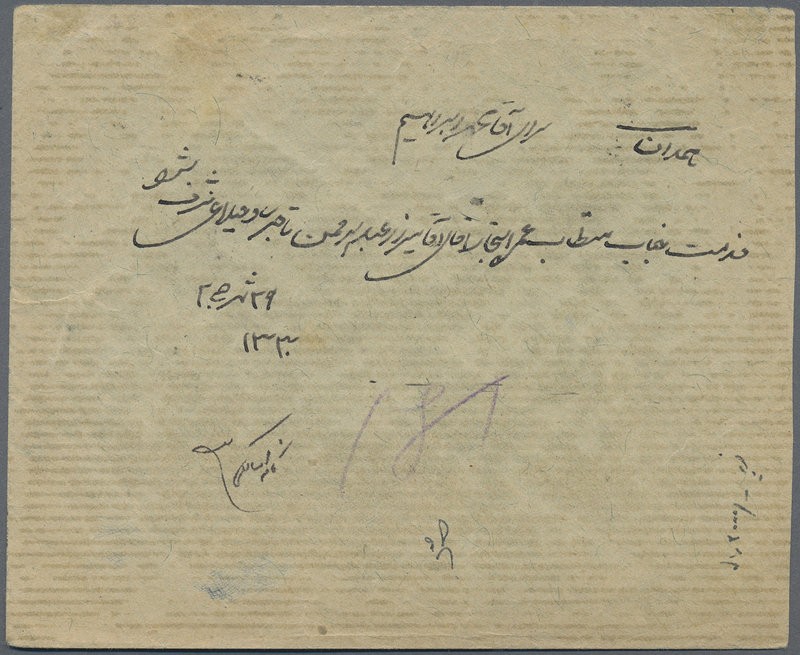 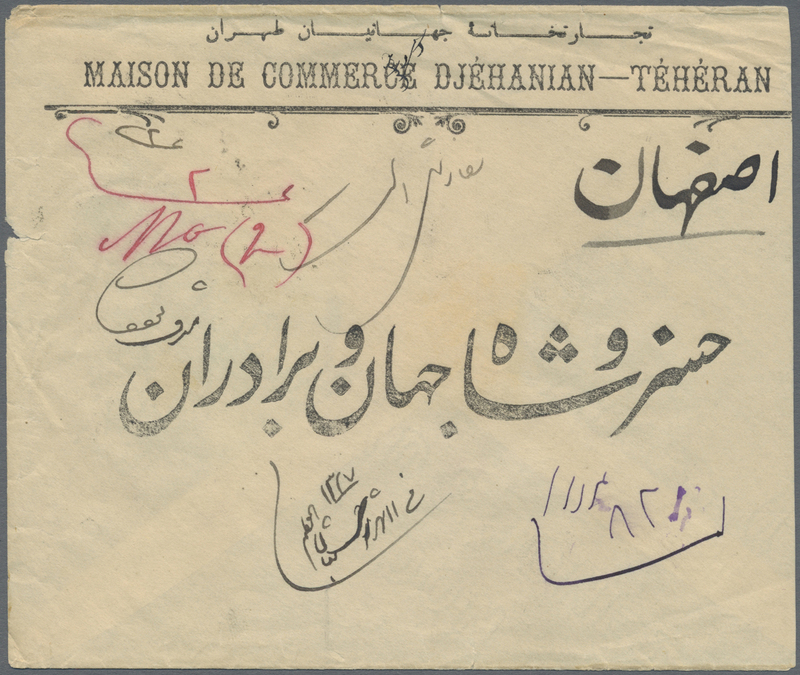 429, 432, 434, 4 1908/1912, two registered covers: Koum to Teheran and Torchiz to Yezd; with faults. 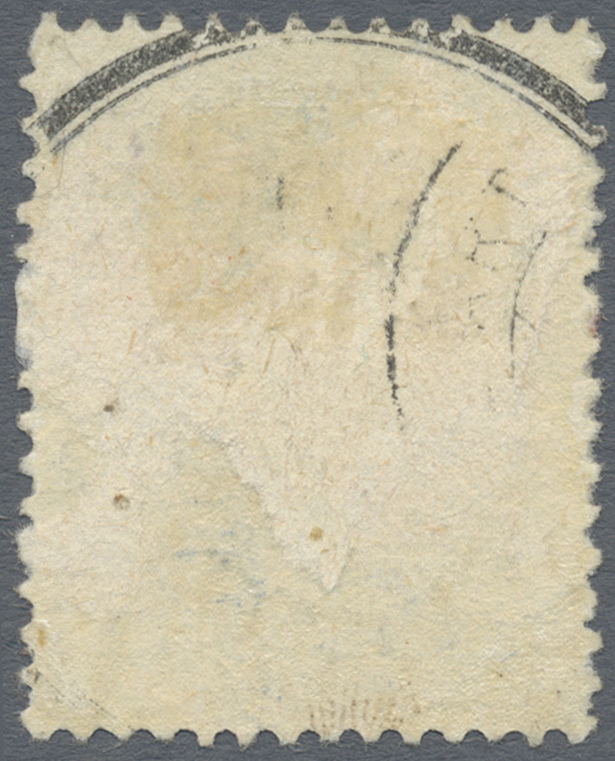 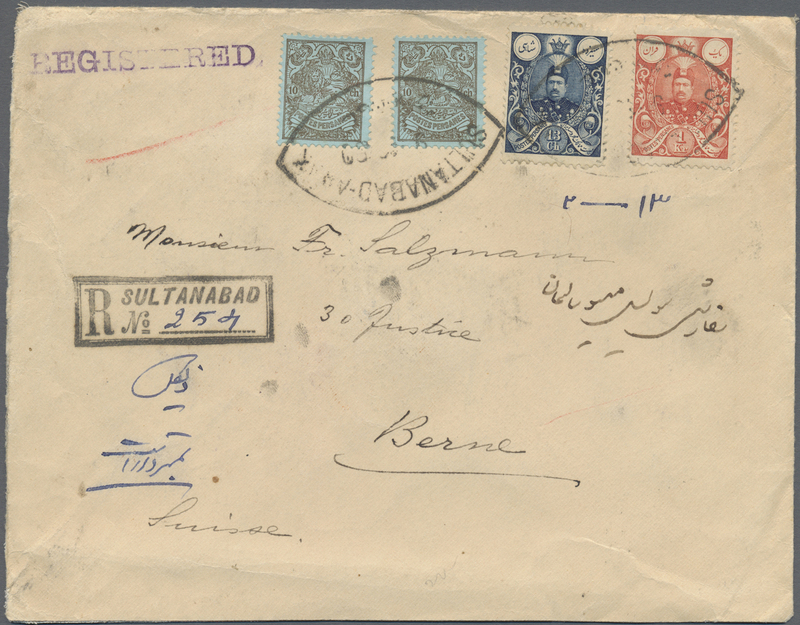 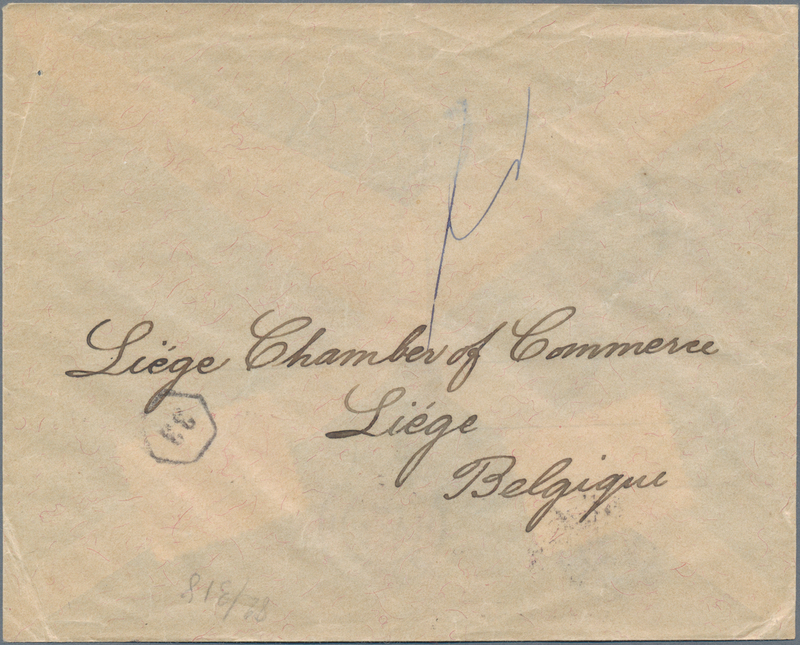 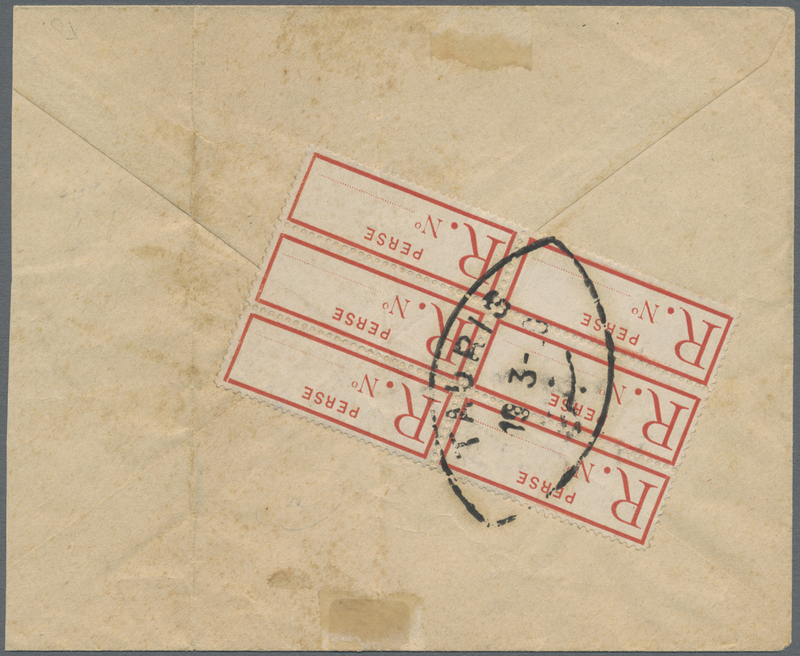 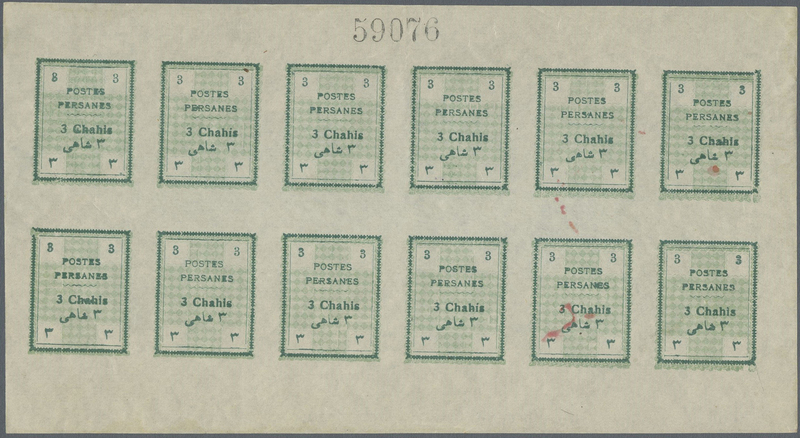 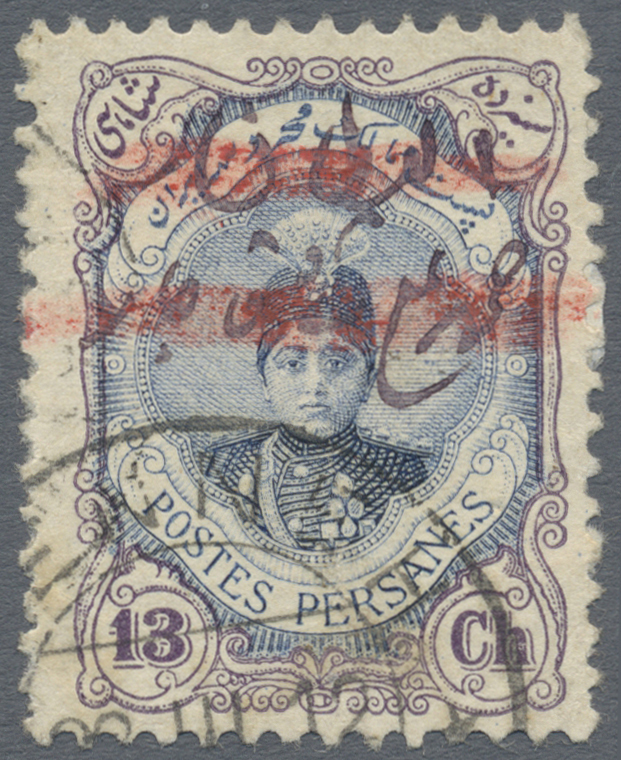 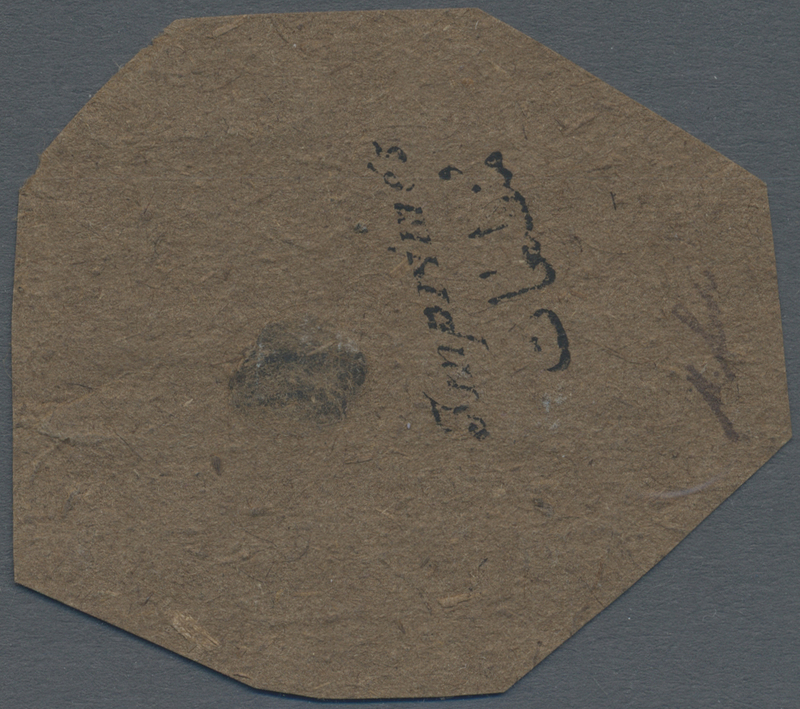 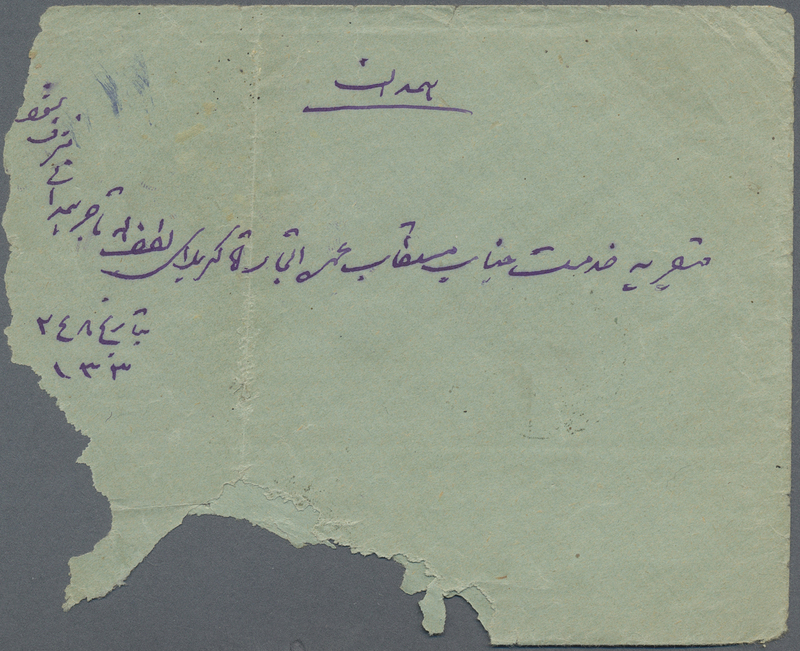 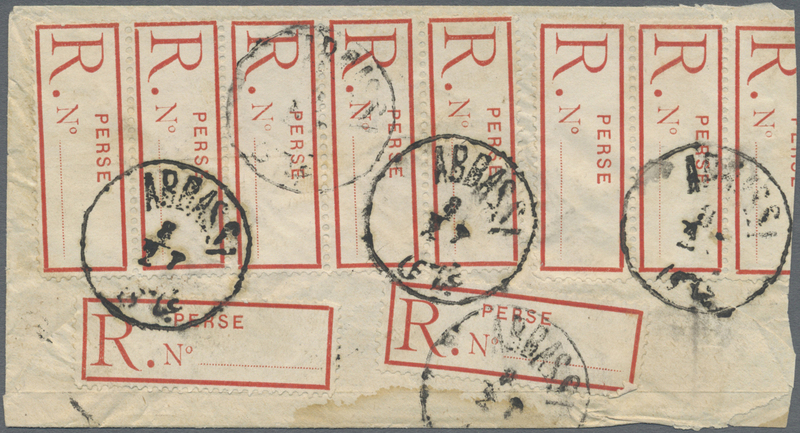 8338 Brief (cover) Briefstück (on piece) V 1909, registration labels used as postage: block of six used on cover from TABRIZ; ten pieces on cover from ABBASSI, both with faults. 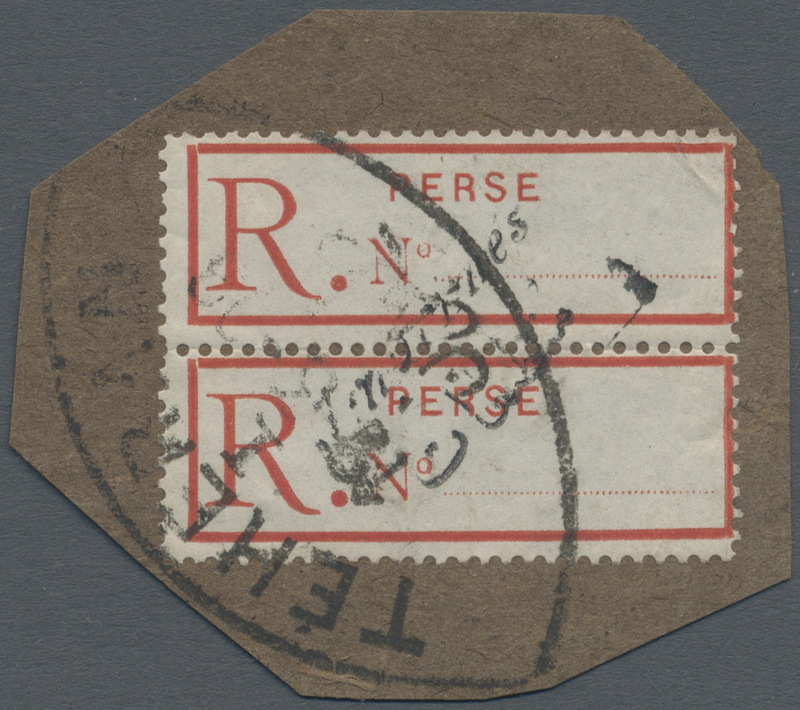 8352 ungebraucht (hinged) * gestempelt (marked) Sc. 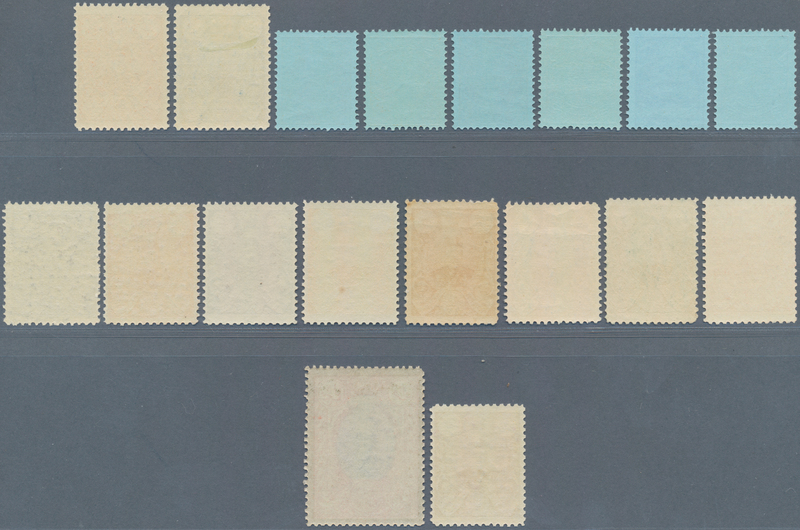 464/80 1910, Newspaper stamps, complete set of 17 stamps, mint original gum resp. 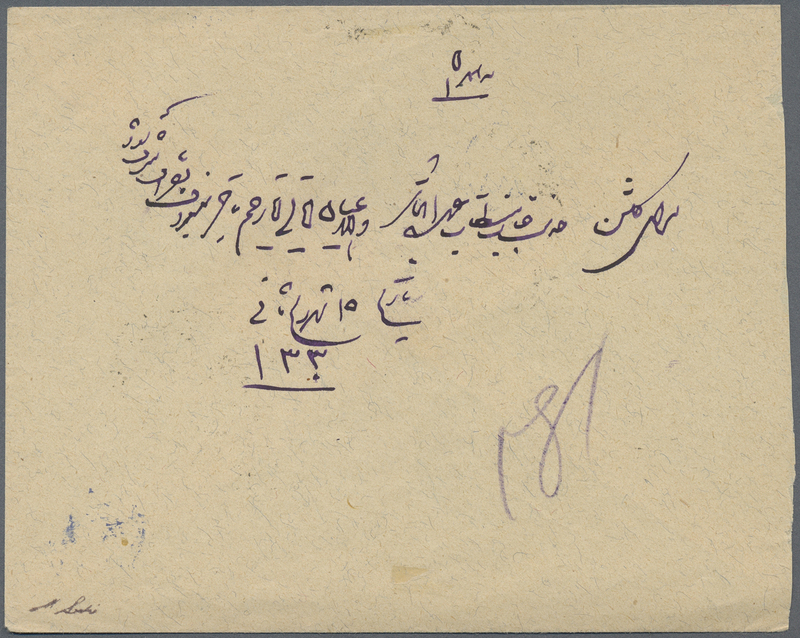 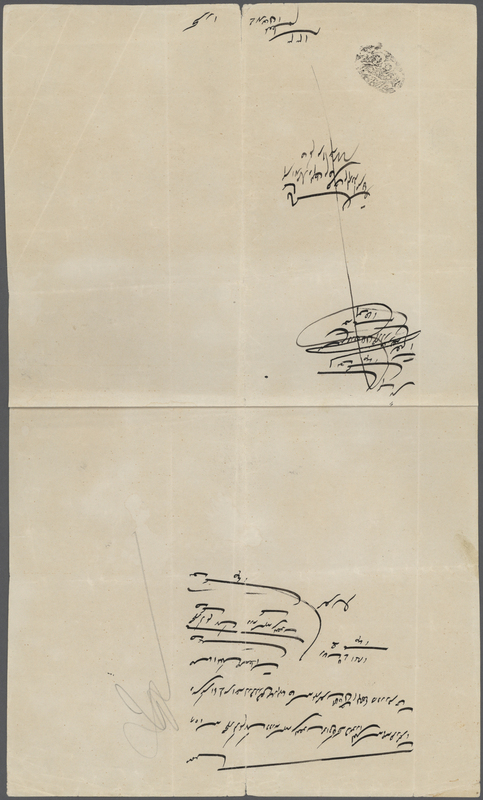 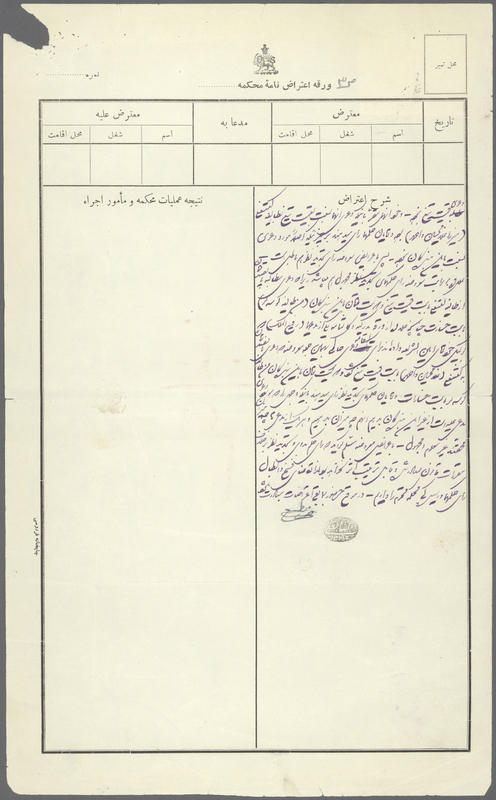 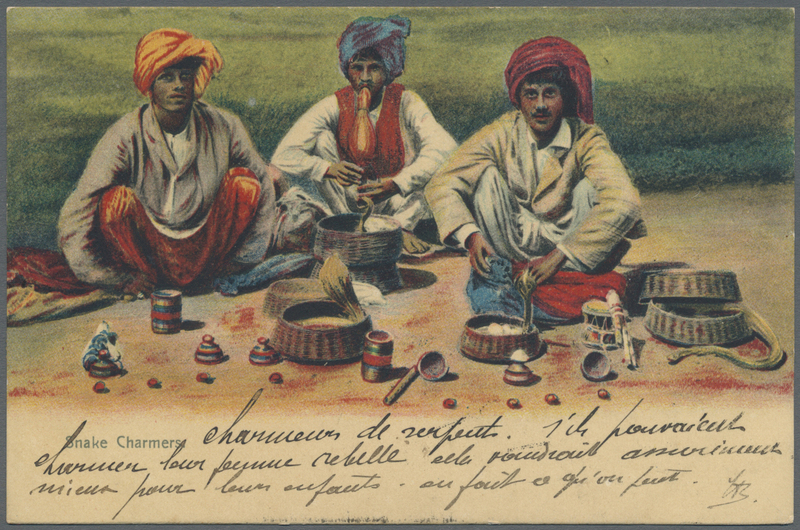 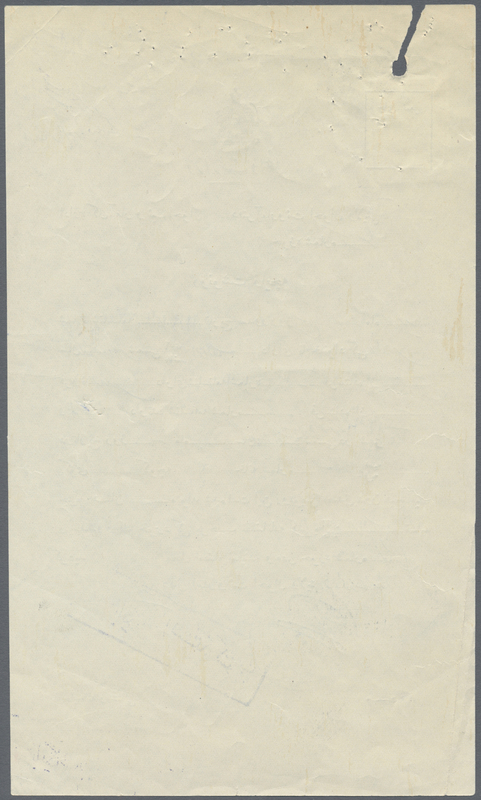 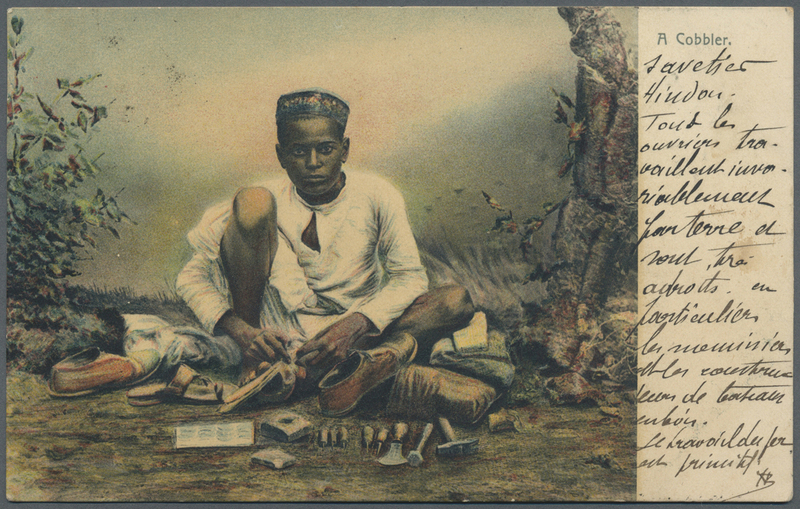 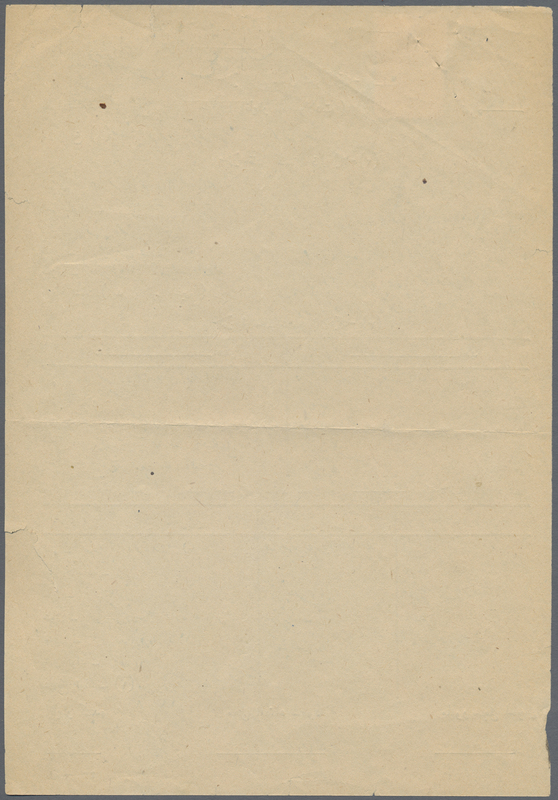 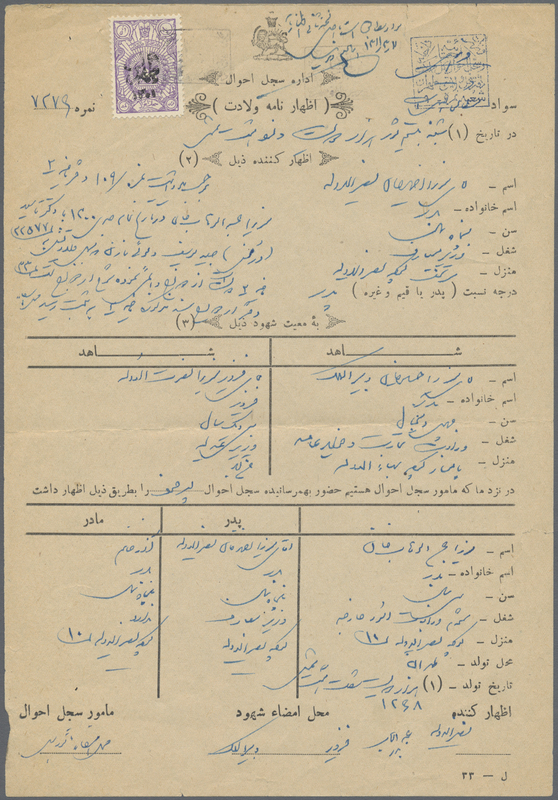 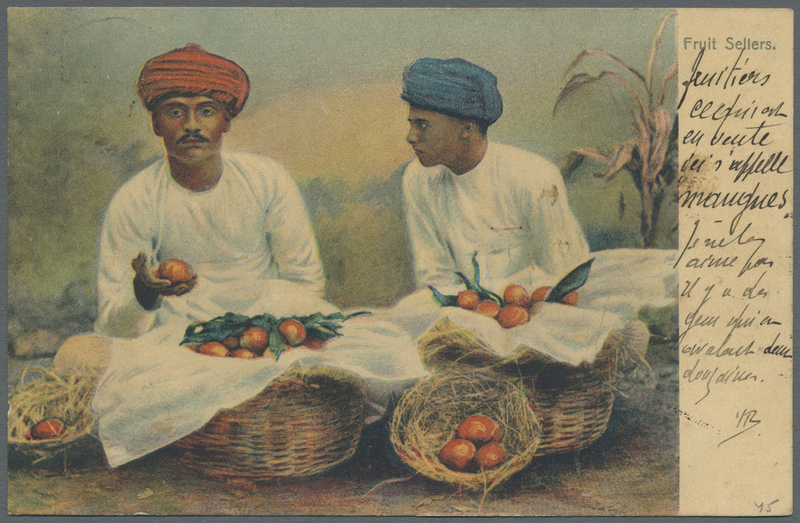 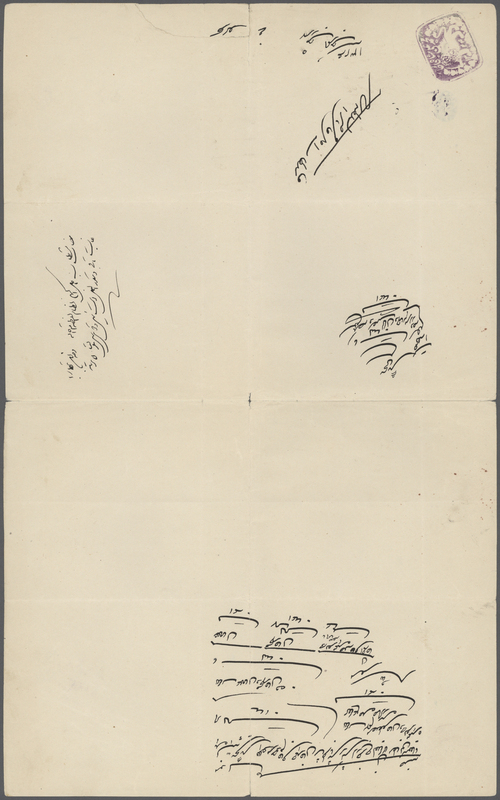 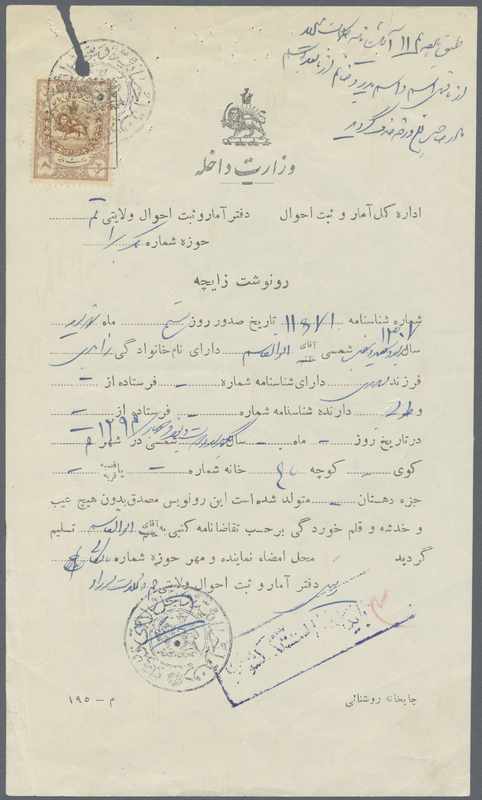 c.t.o., signed Sadri.